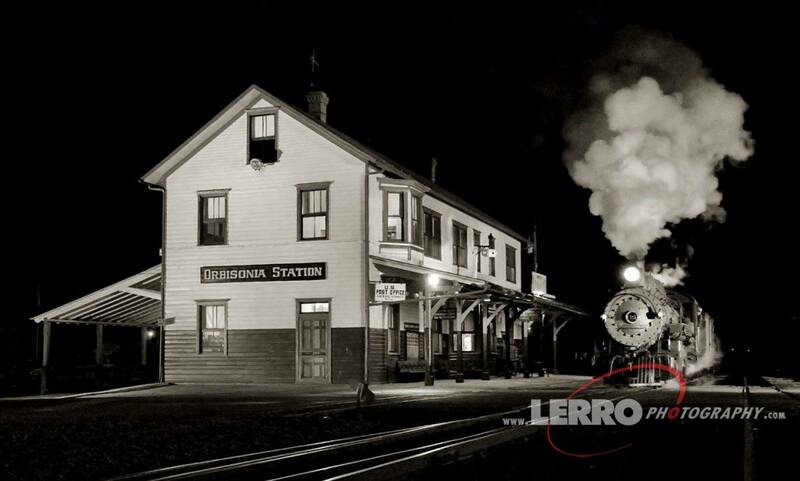 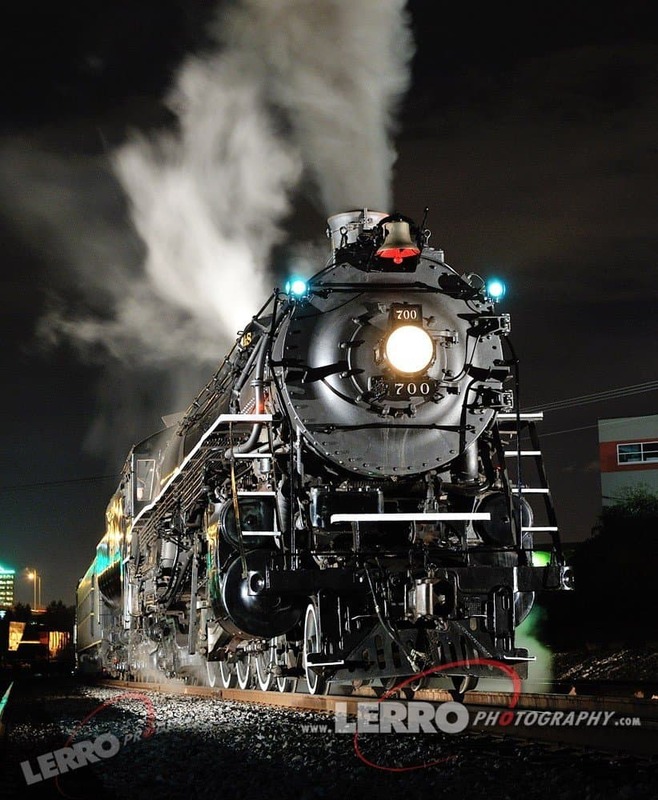 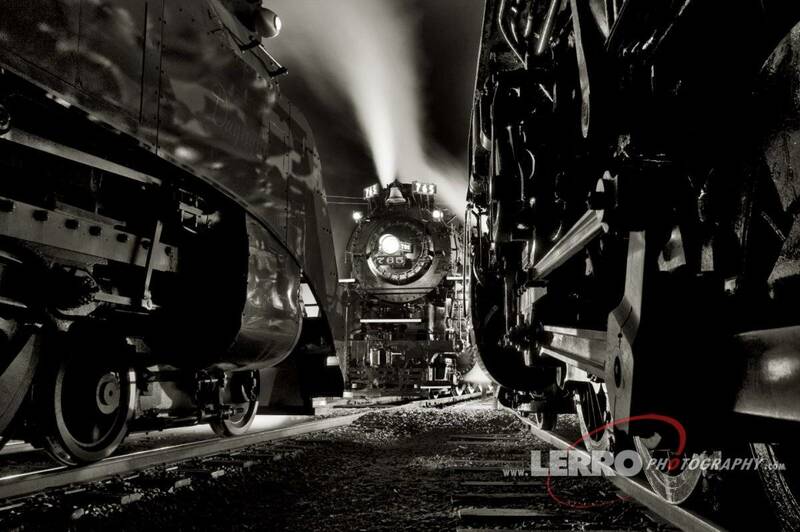 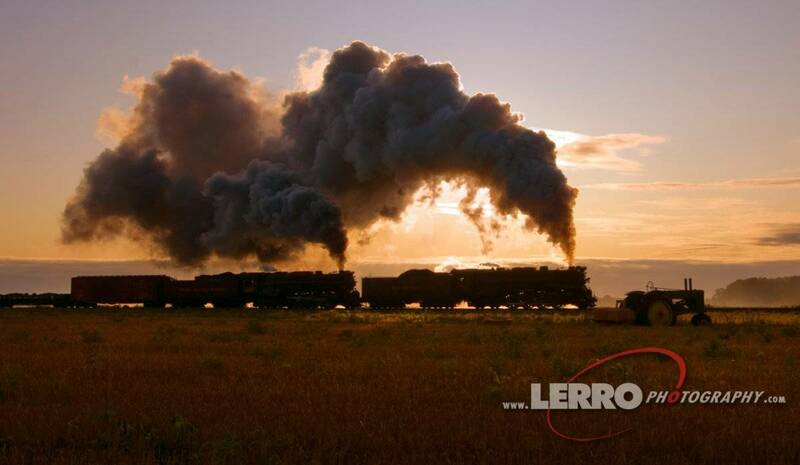 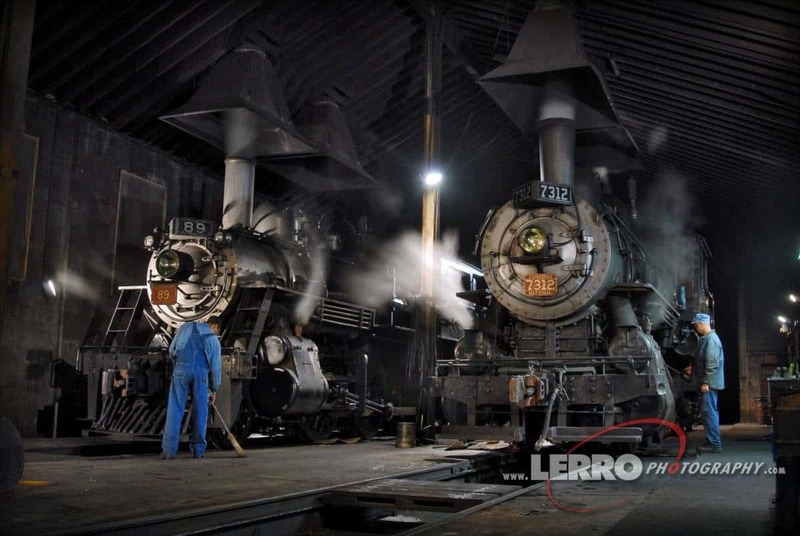 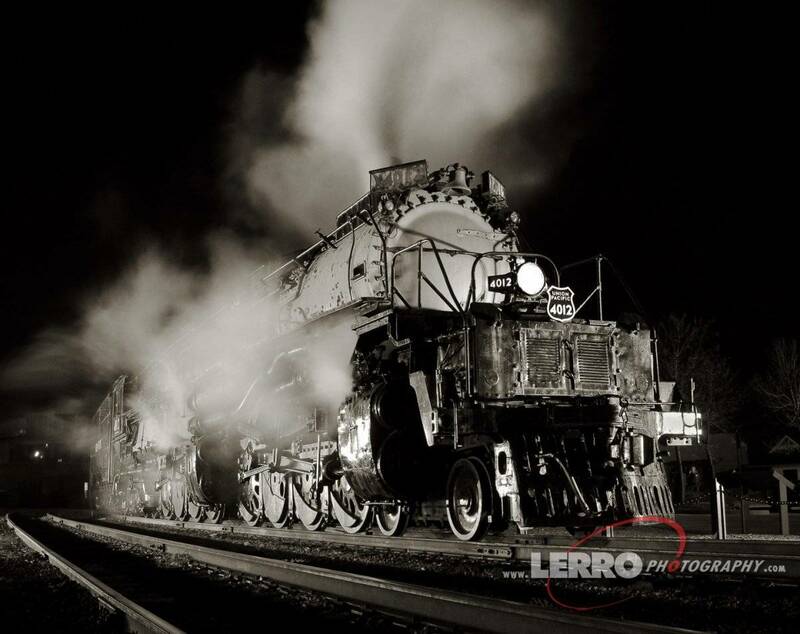 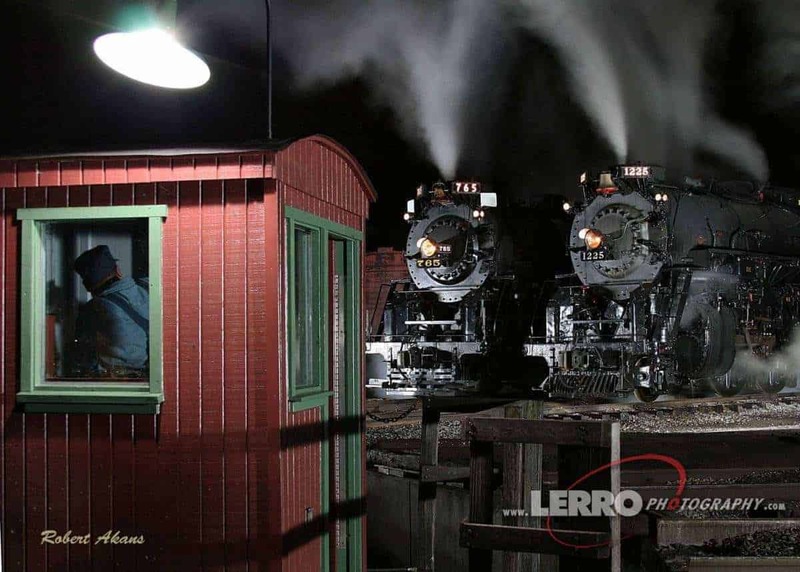 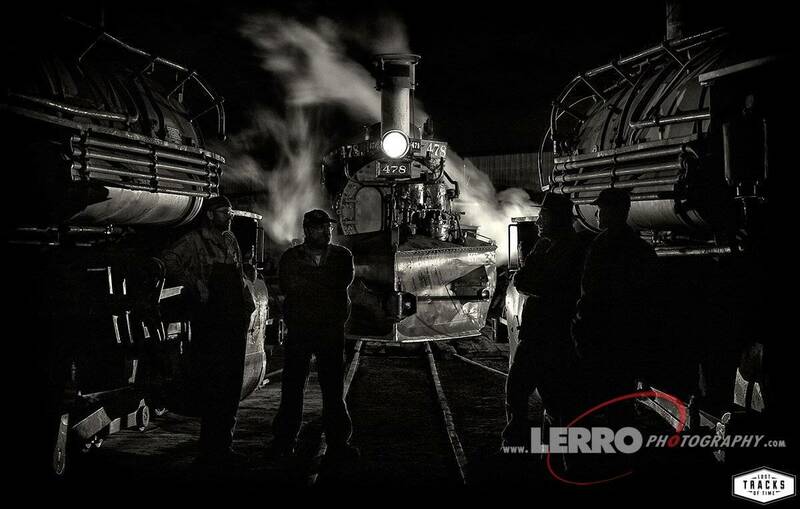 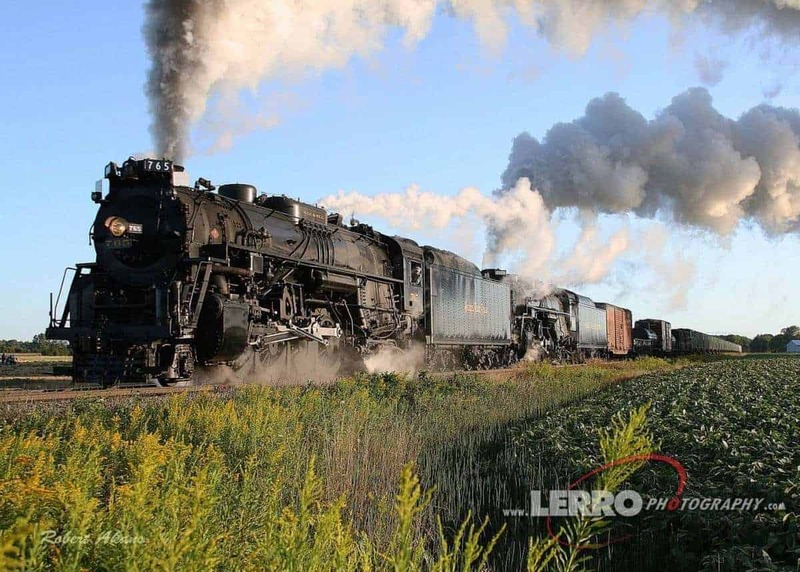 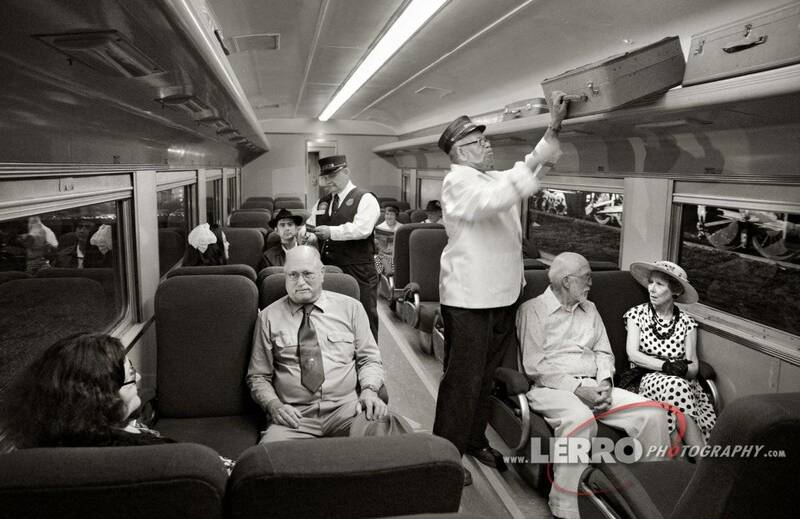 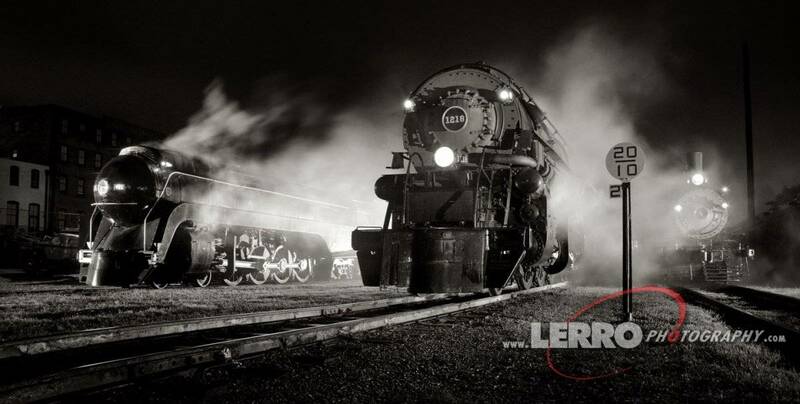 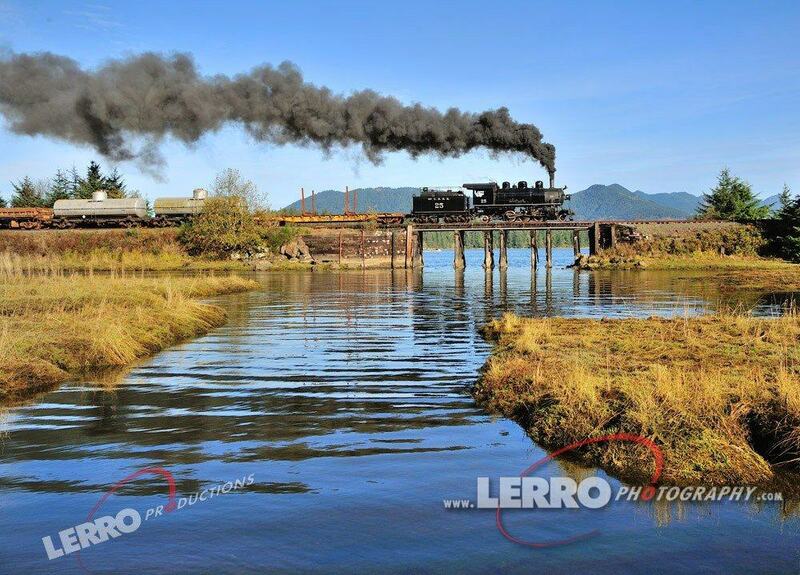 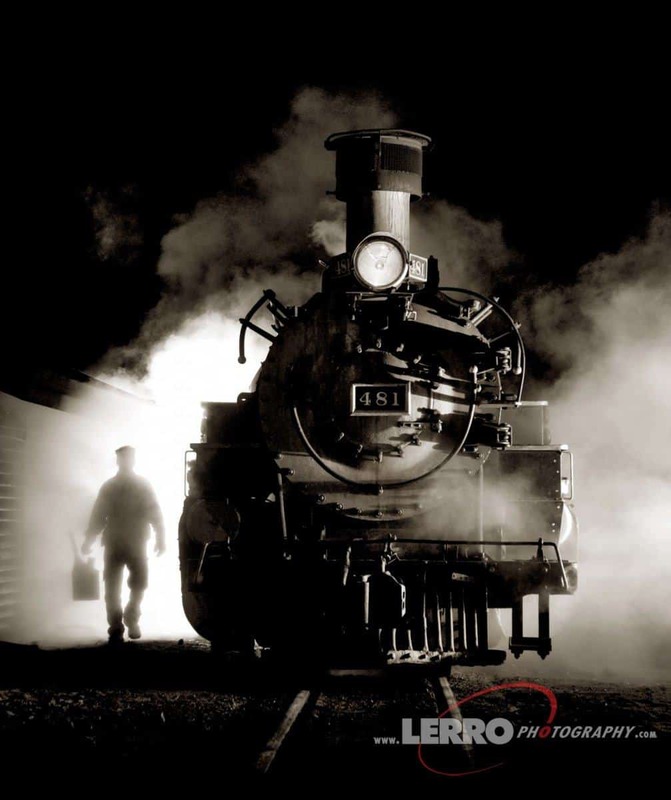 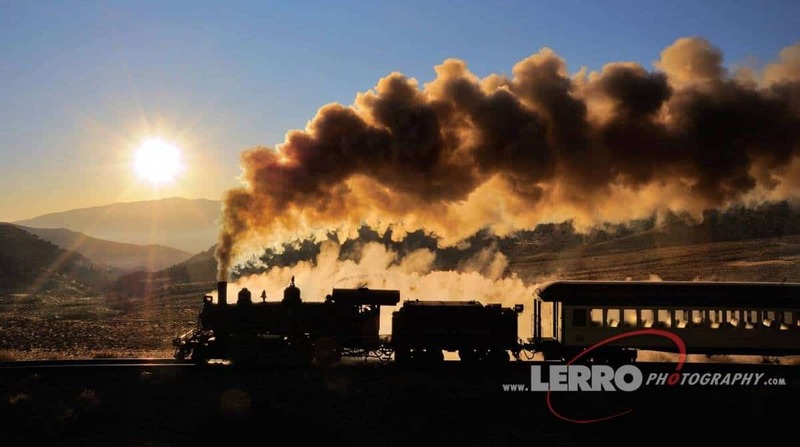 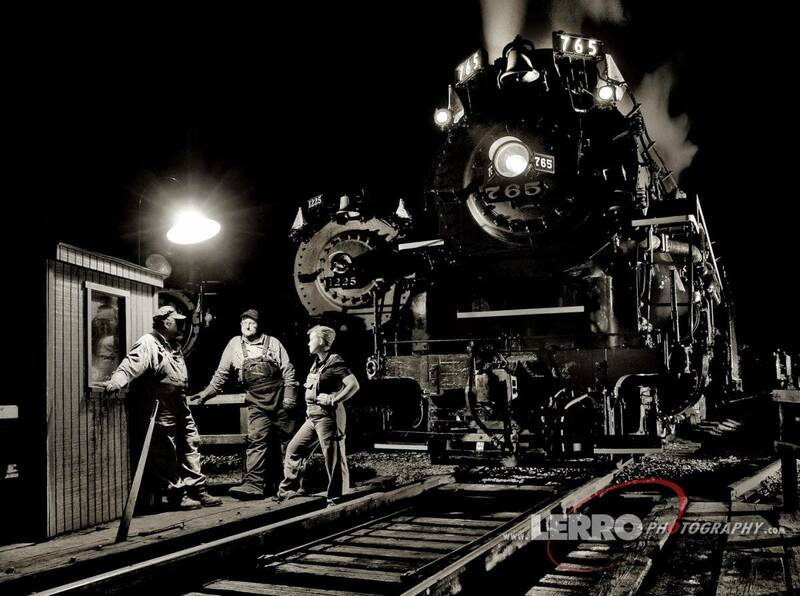 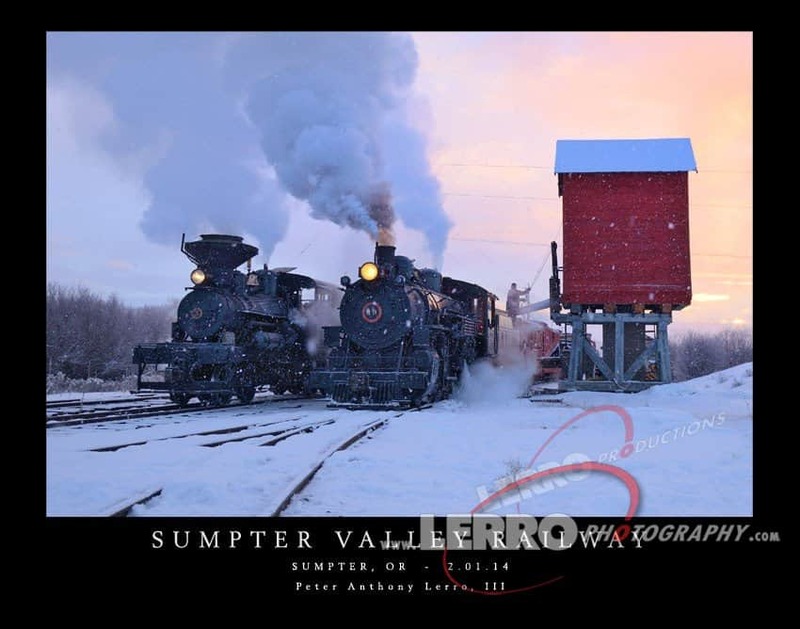 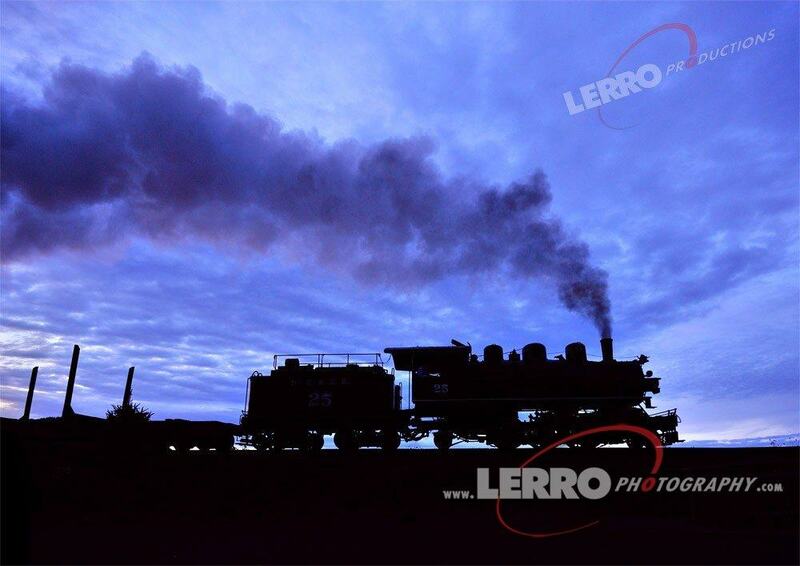 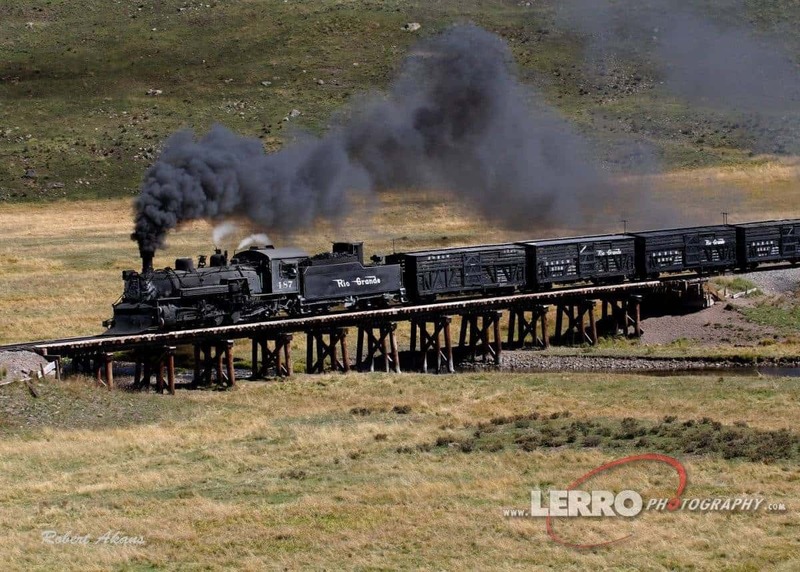 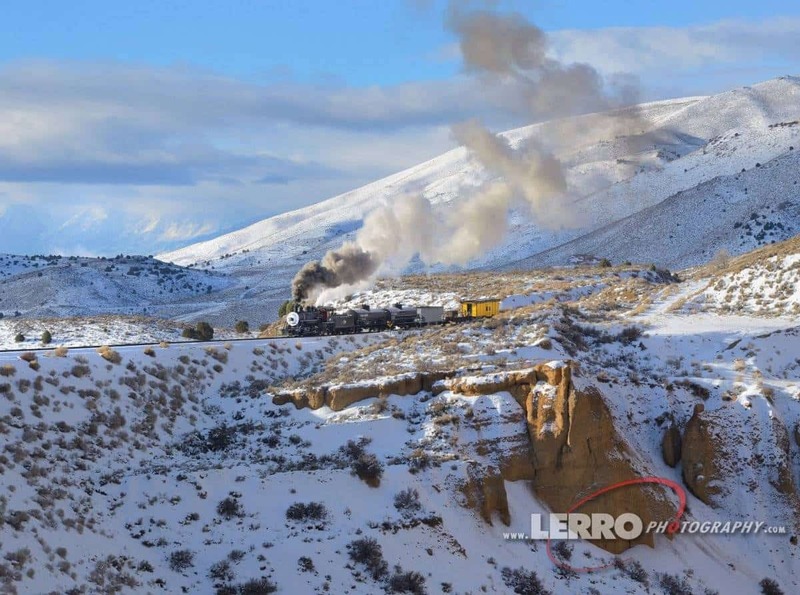 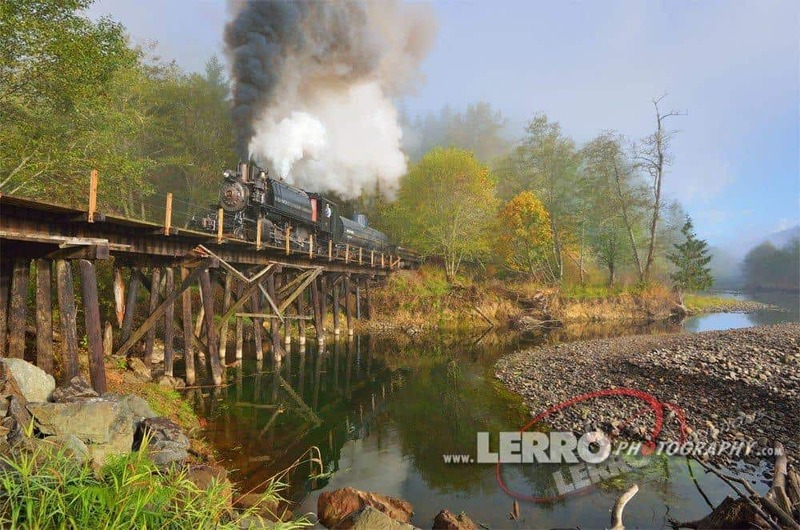 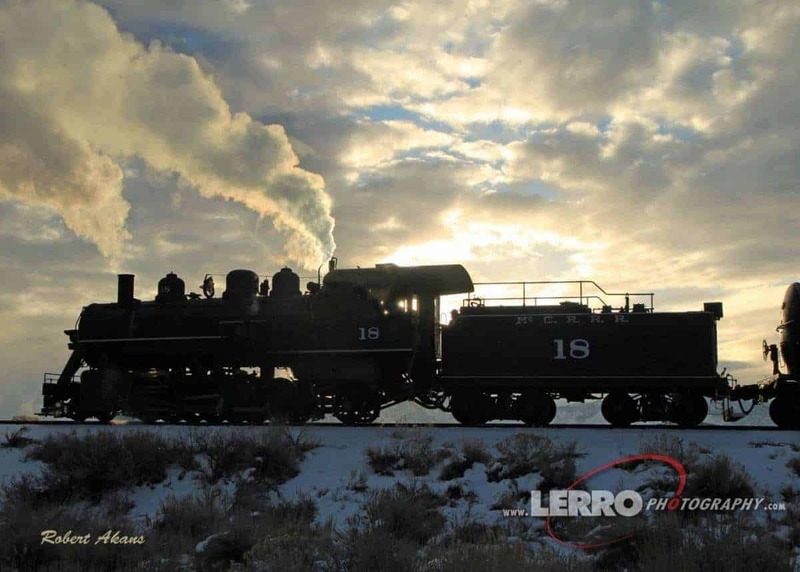 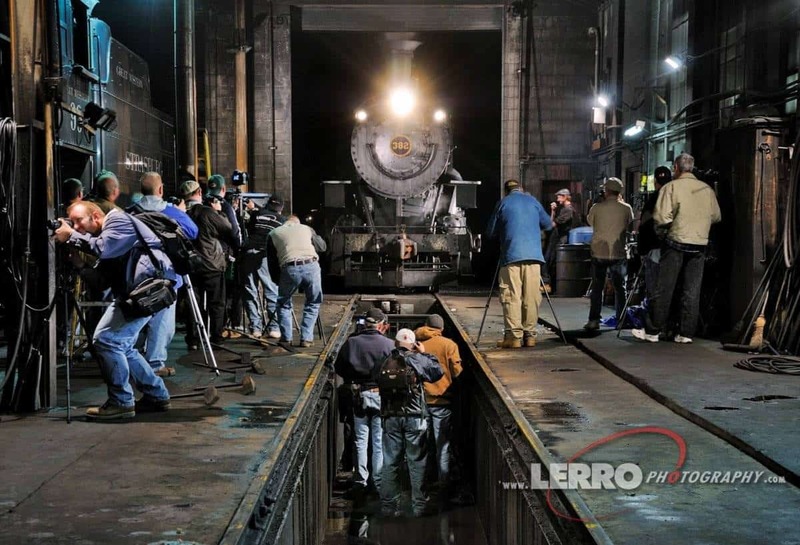 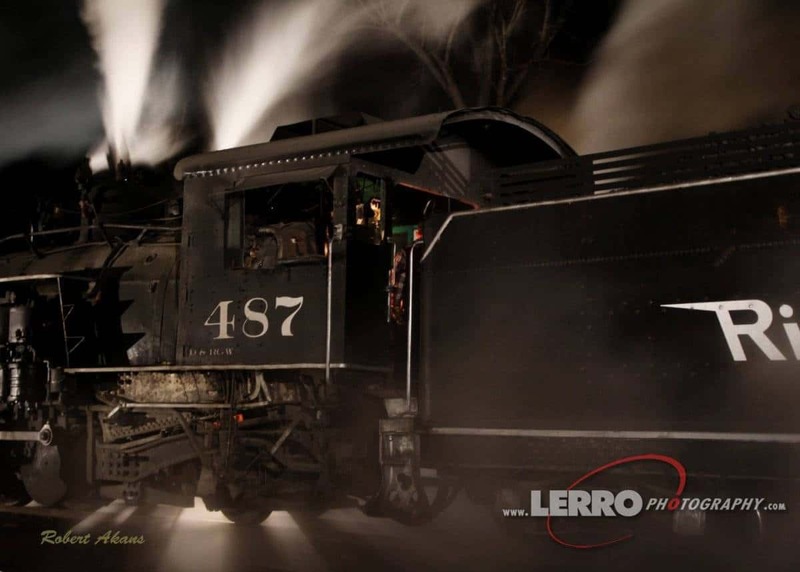 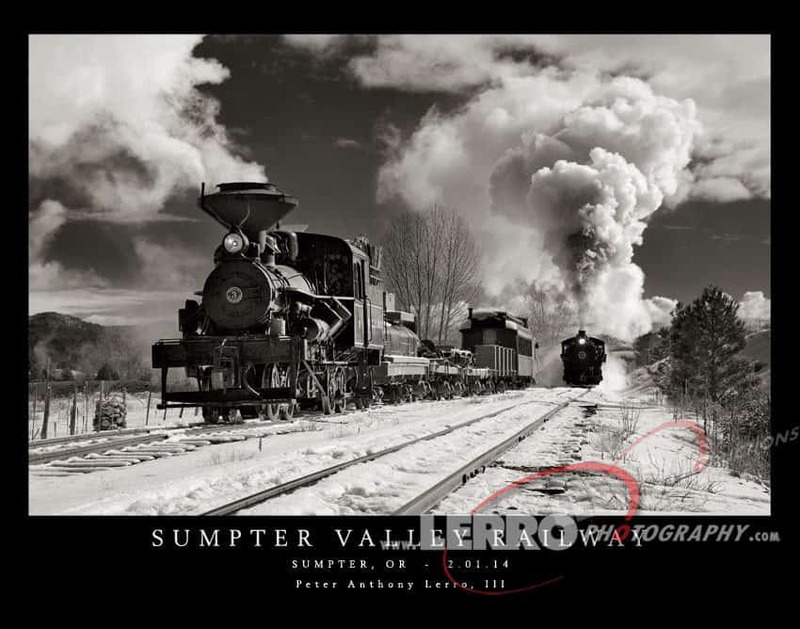 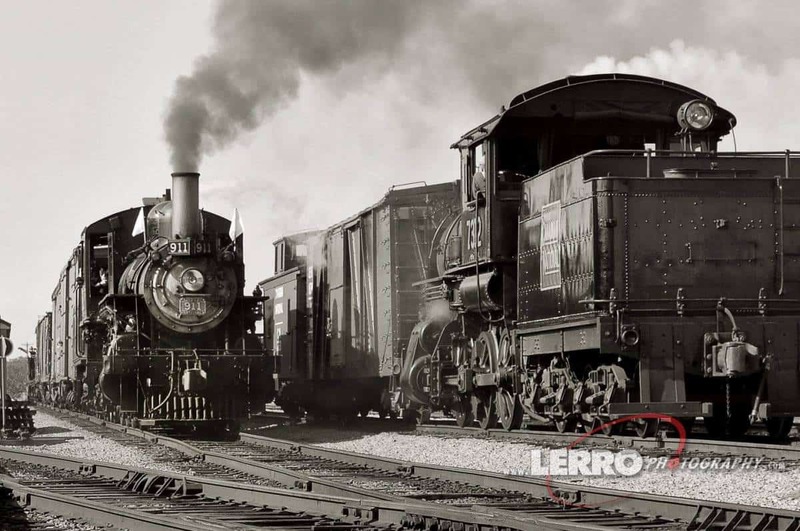 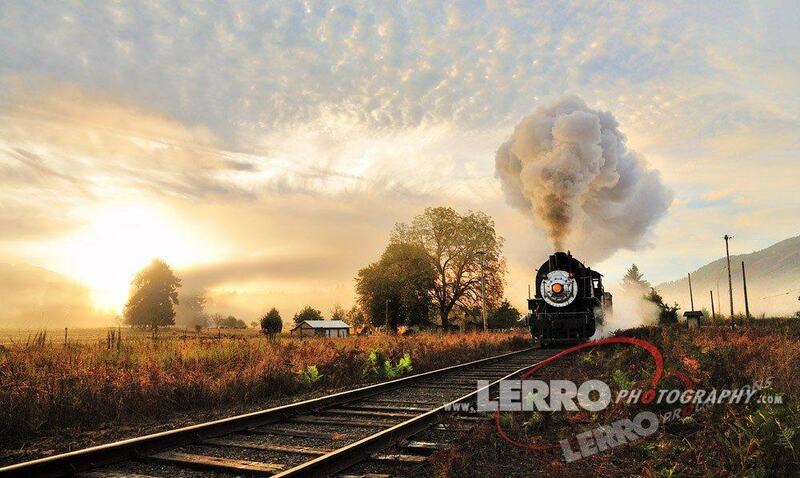 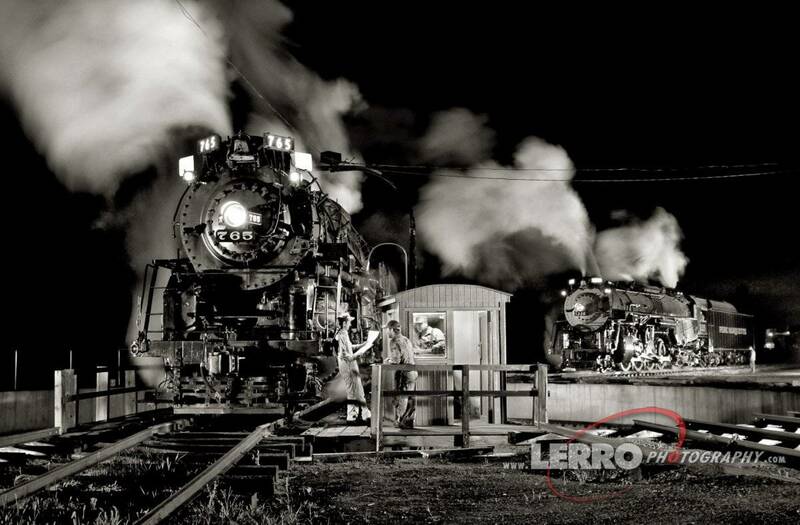 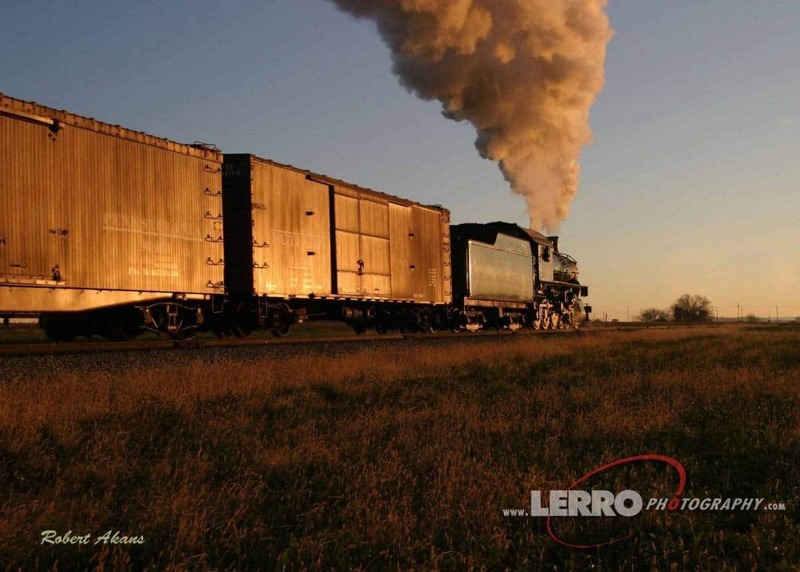 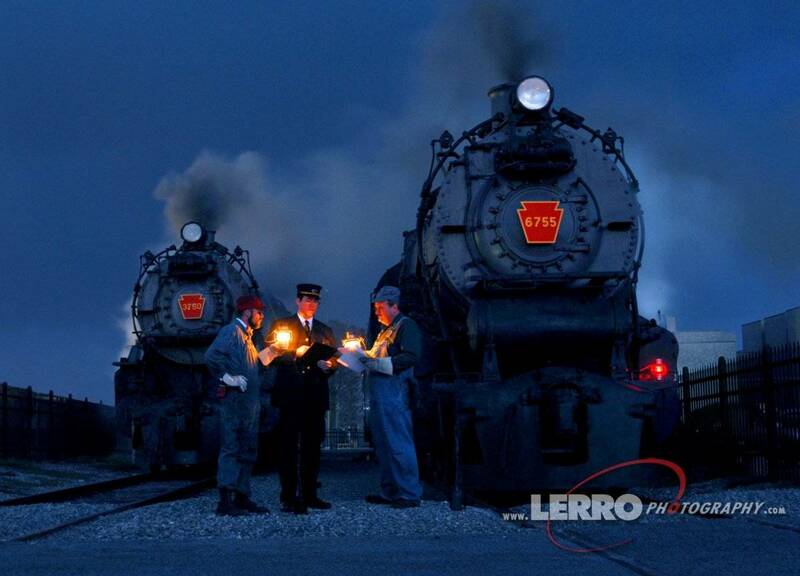 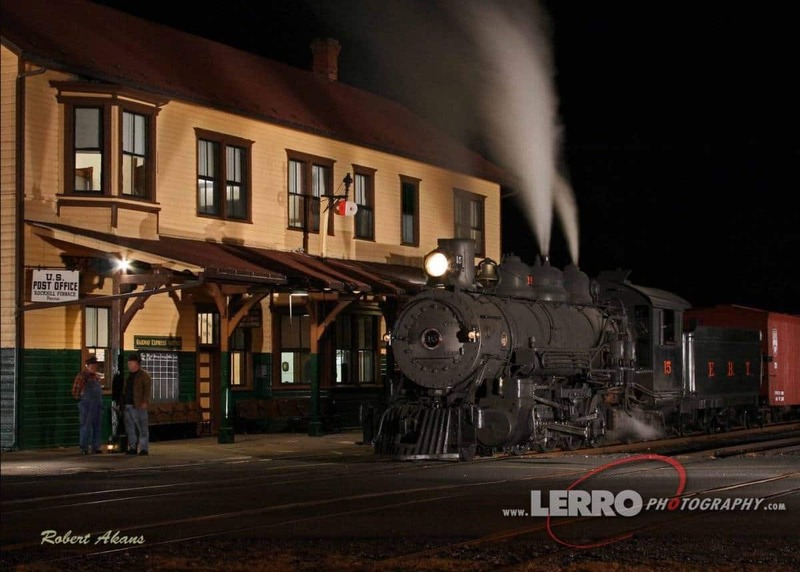 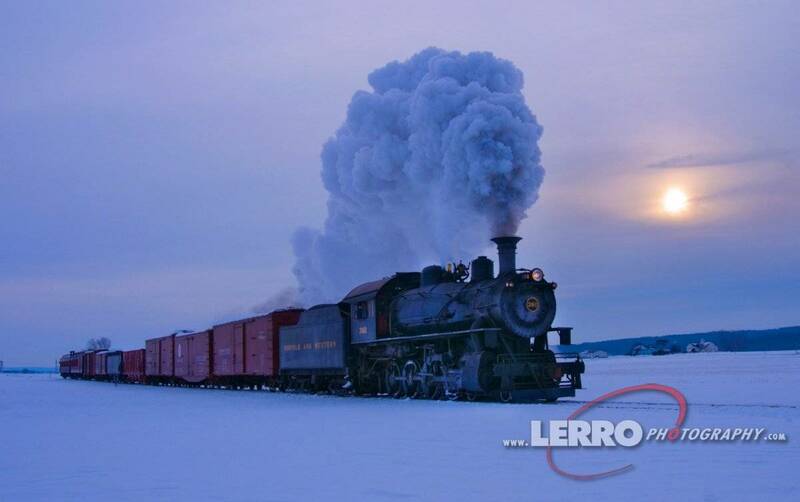 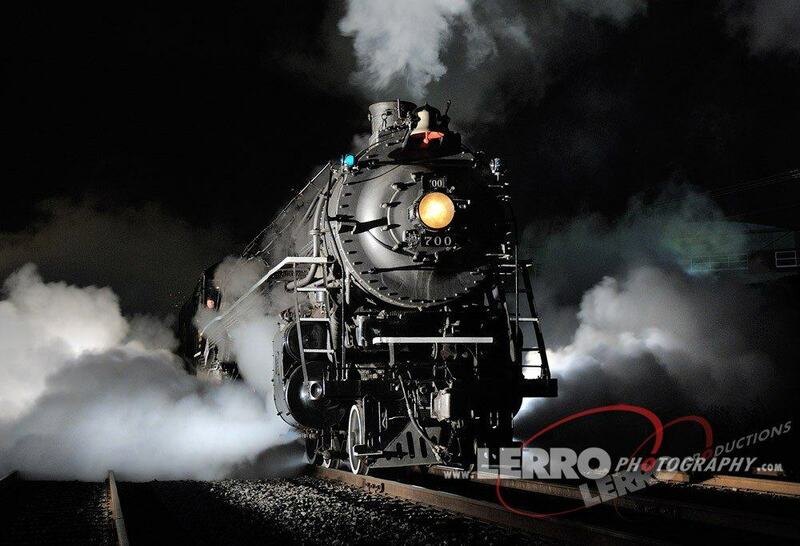 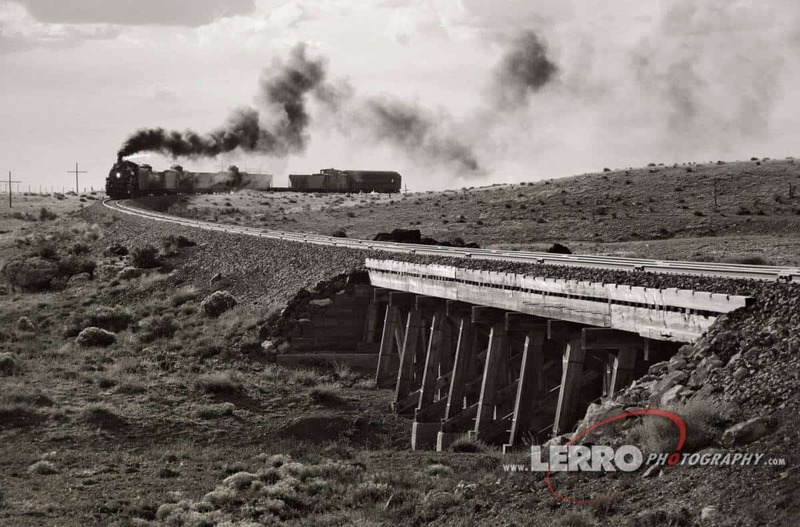 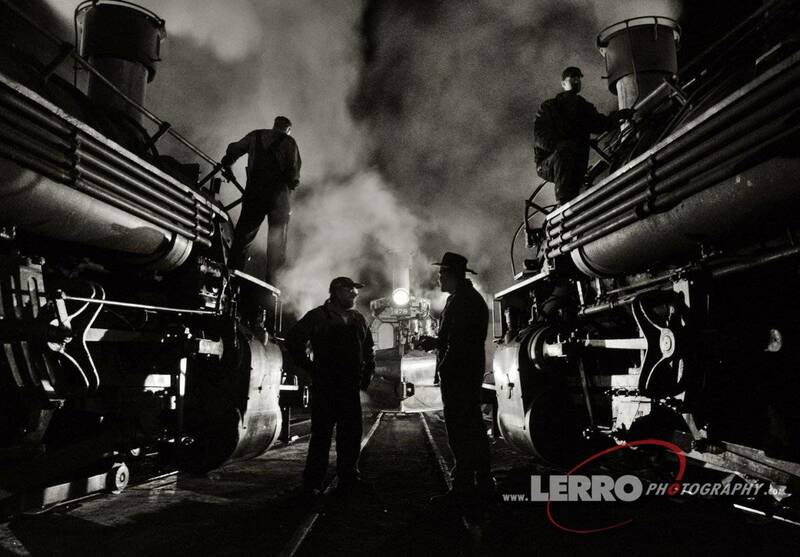 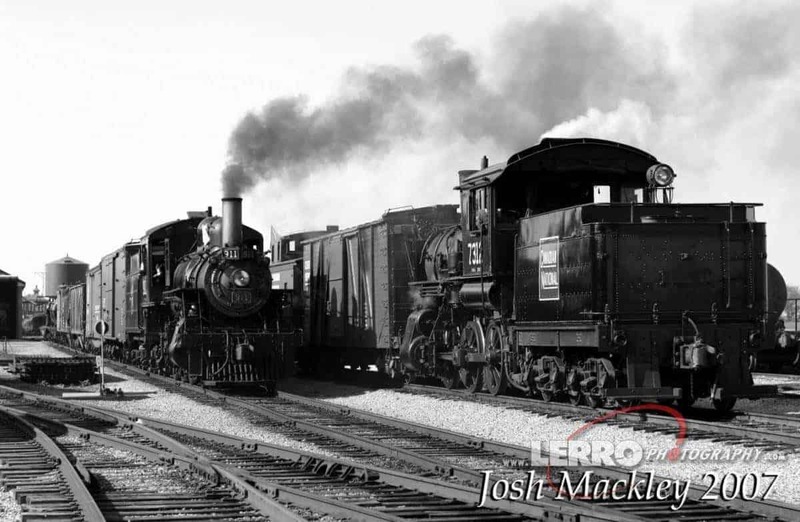 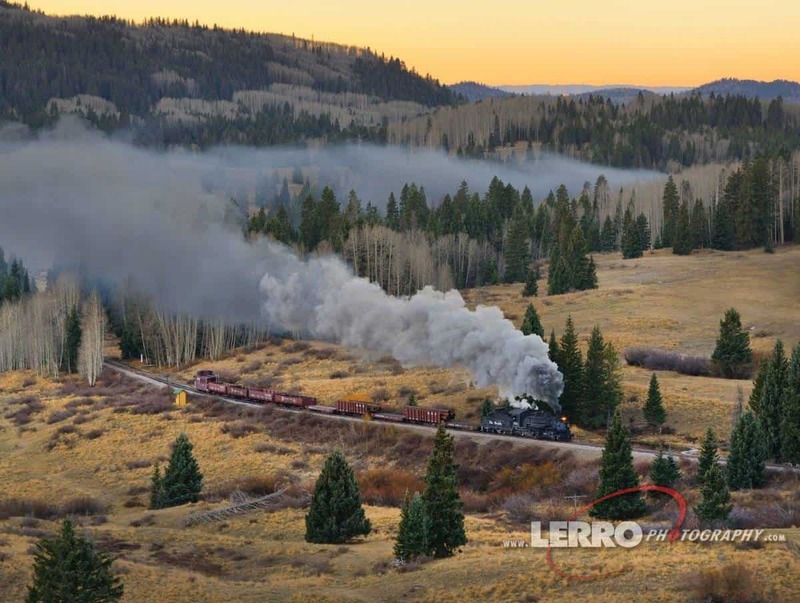 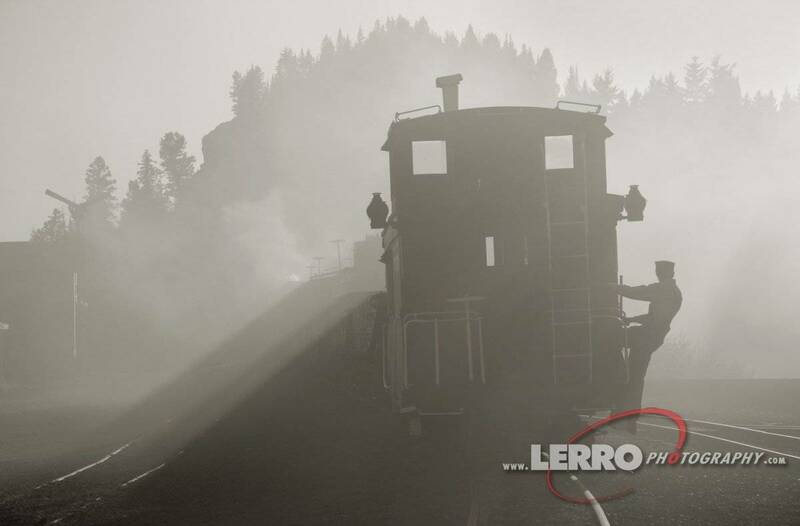 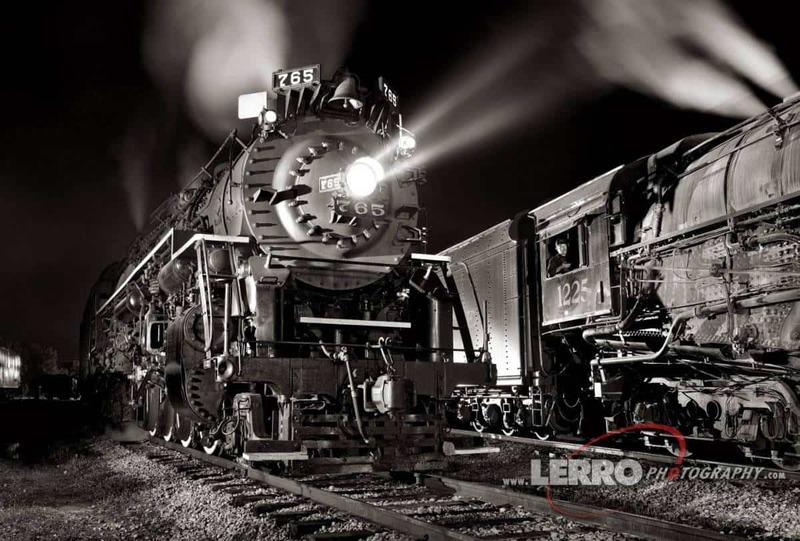 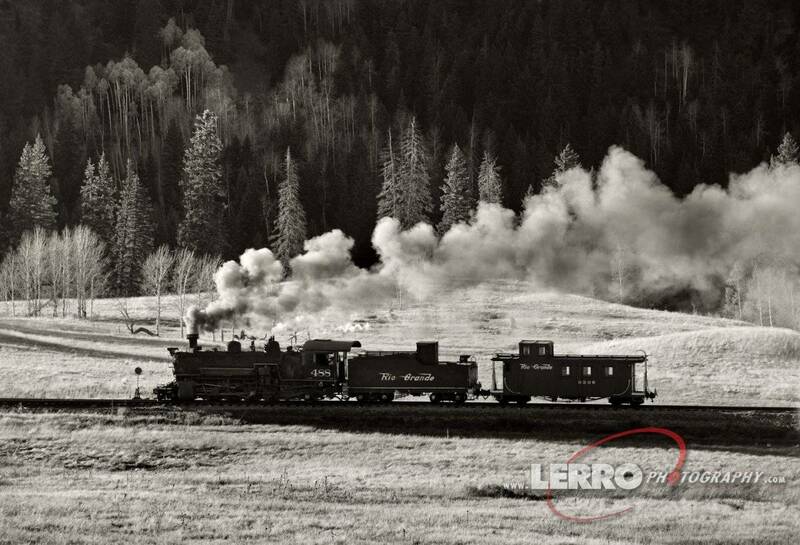 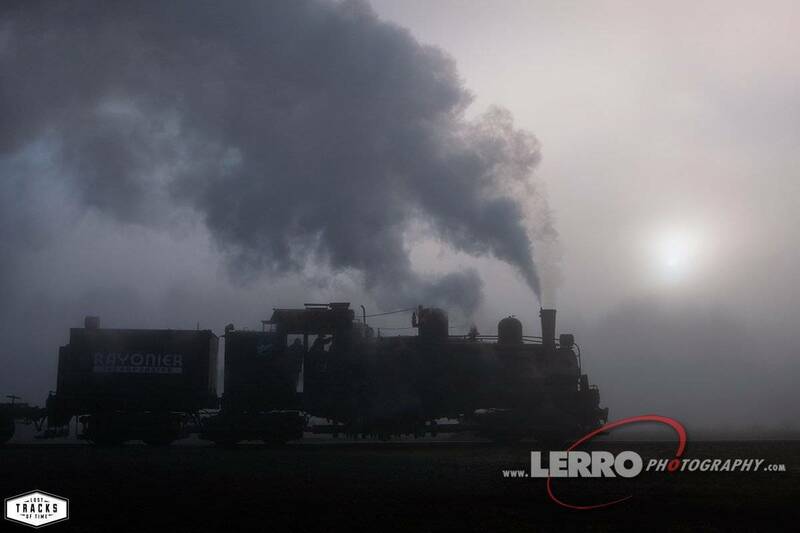 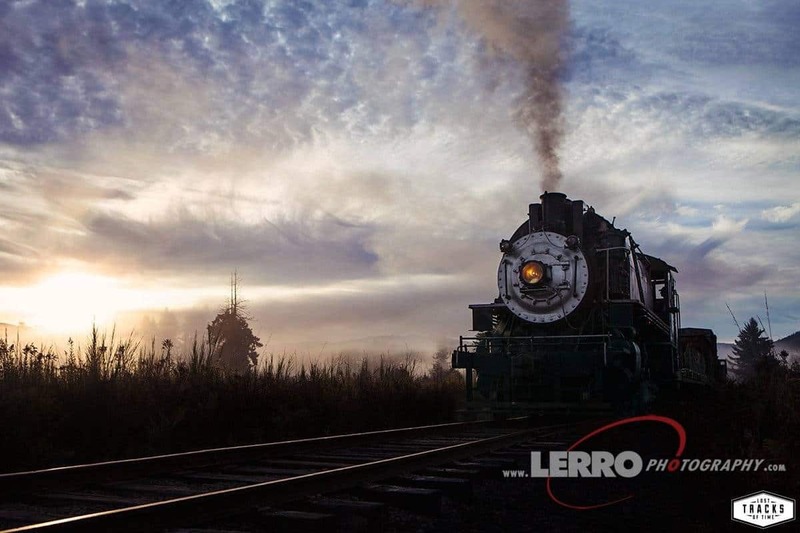 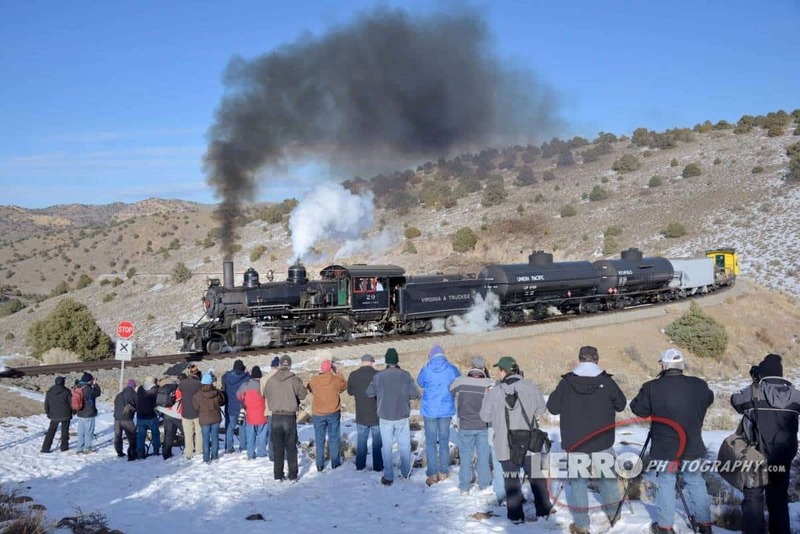 Join Lerro Productions on one of our upcoming photo shoots for a unique opportunity to experience and capture the excitement of historic steam railroading, A trackside experience to years past. 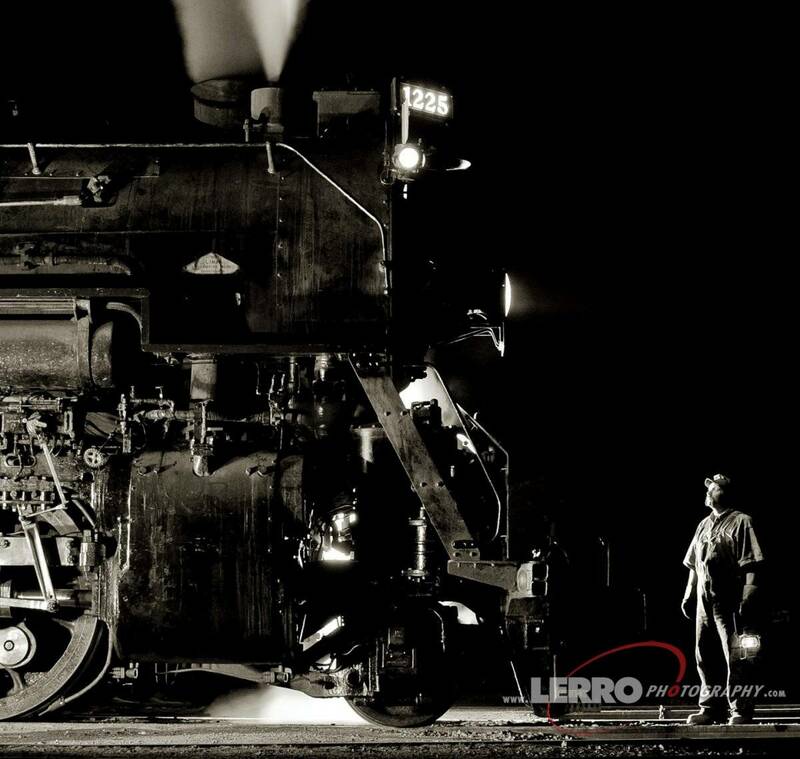 The premise of our photo shoots is simple. 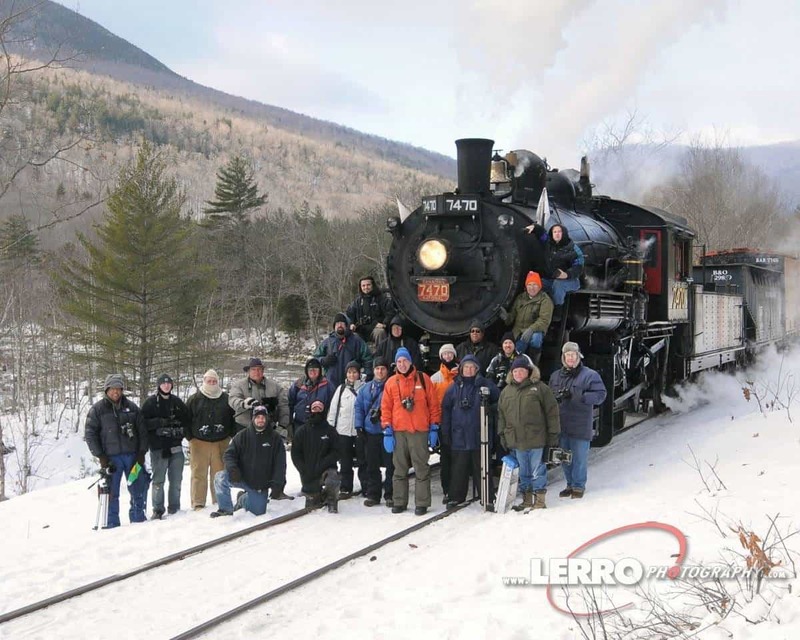 We rent the railroad and sell tickets in order to raise money to run the trip. 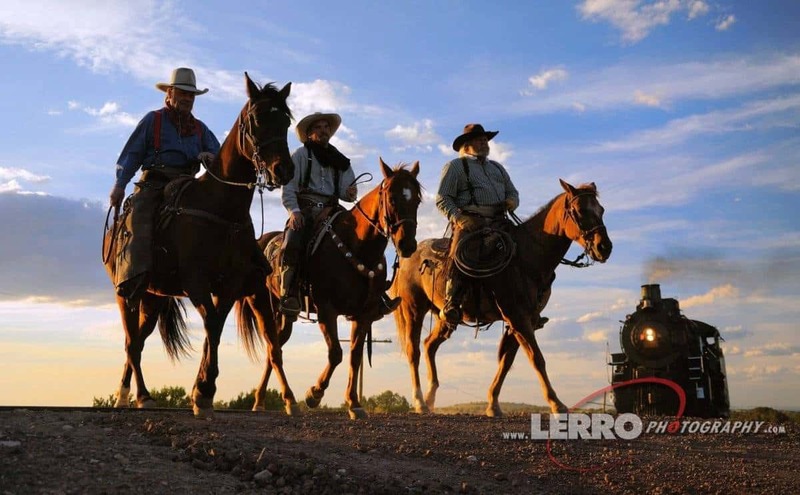 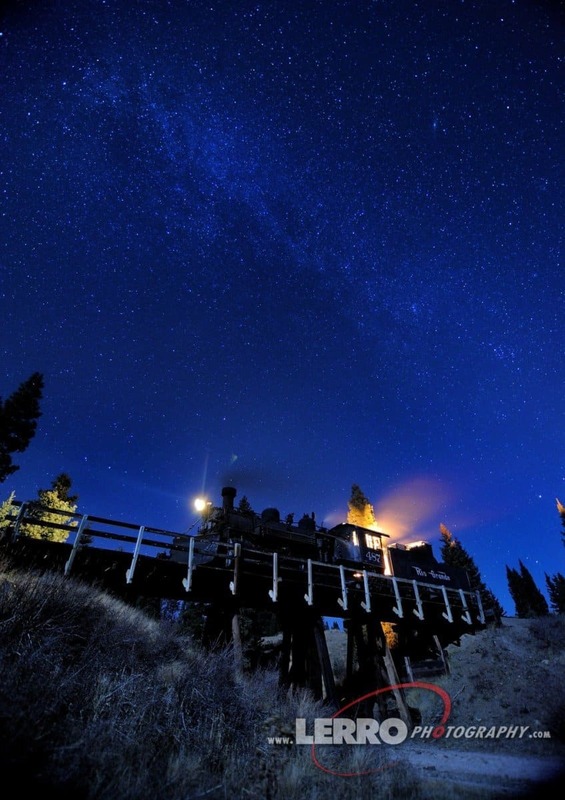 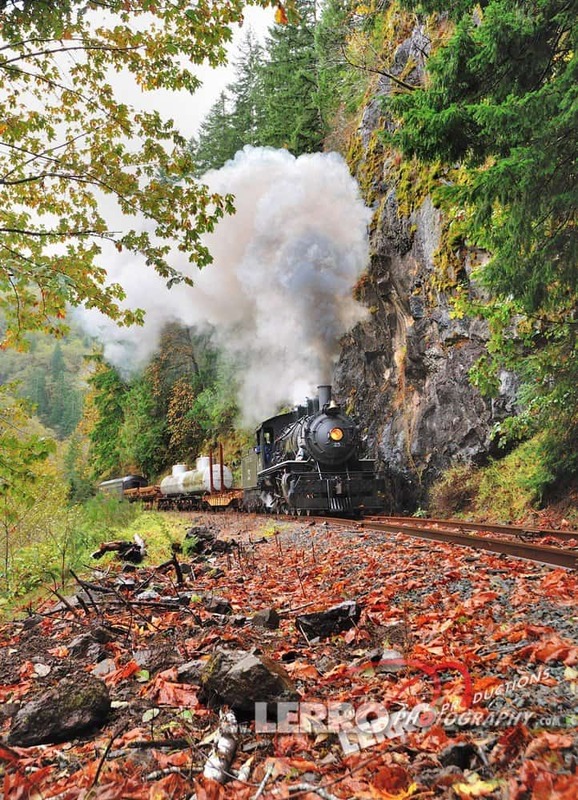 During the trip, participants will either ride the train or follow the train in their vehicles to designated locations. 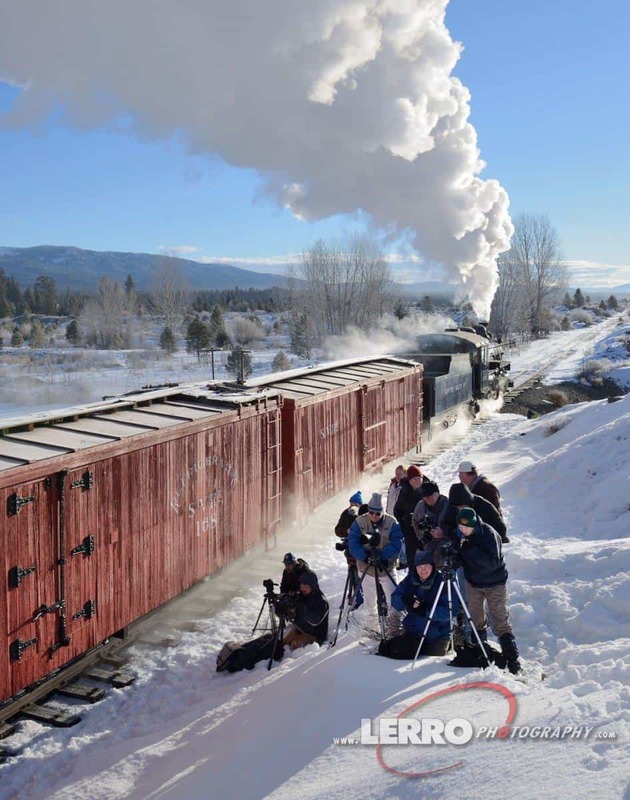 At the photo locations, the photographers are put into a photo line. 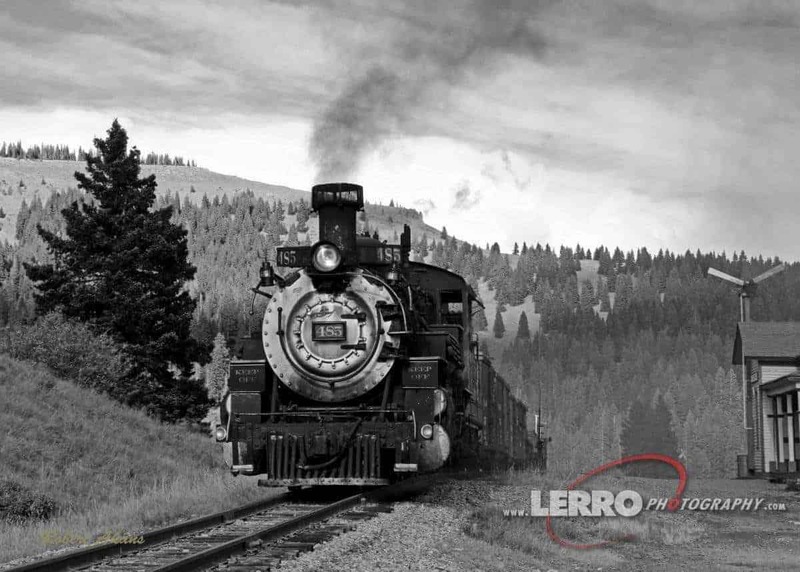 Once in position, the train will back up and then proceed forward to perform the runby; recreating normal railroad operations. 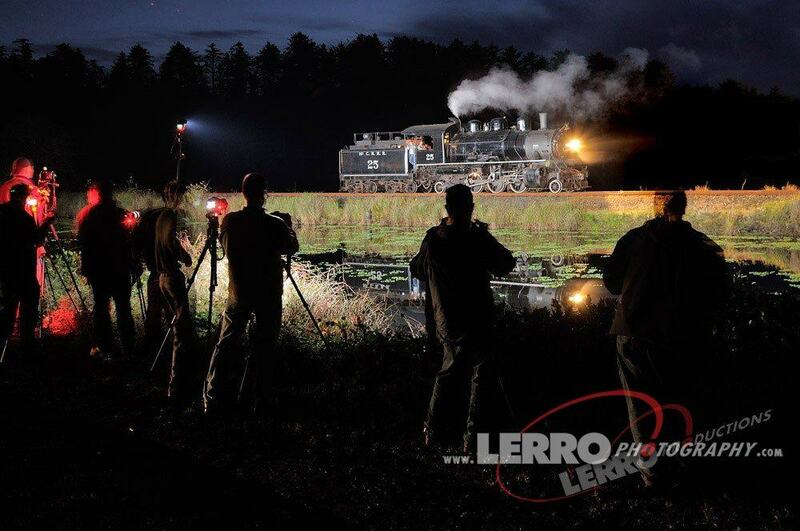 This will happen several times at each location allowing the participants to capture different angles of the scene. 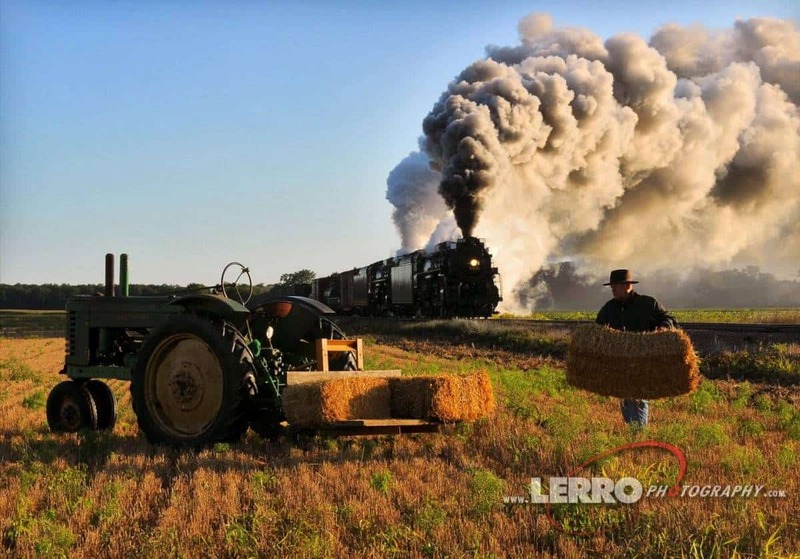 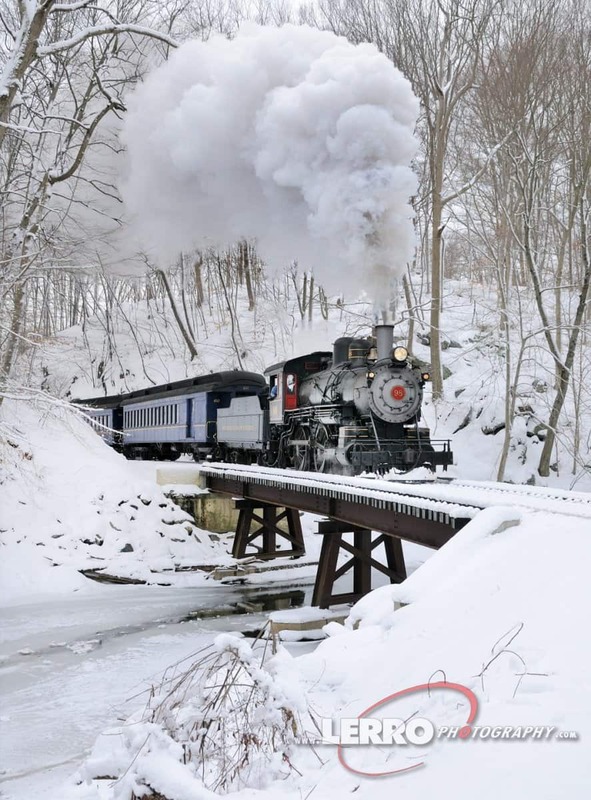 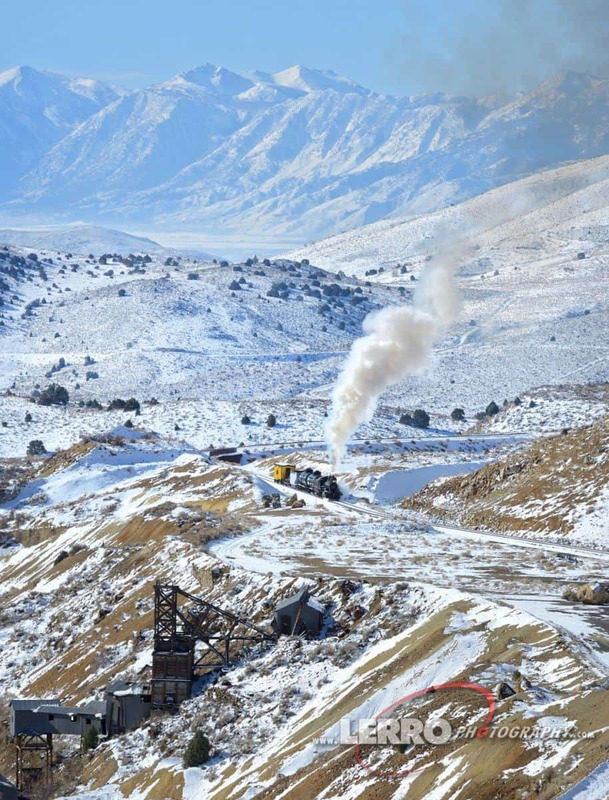 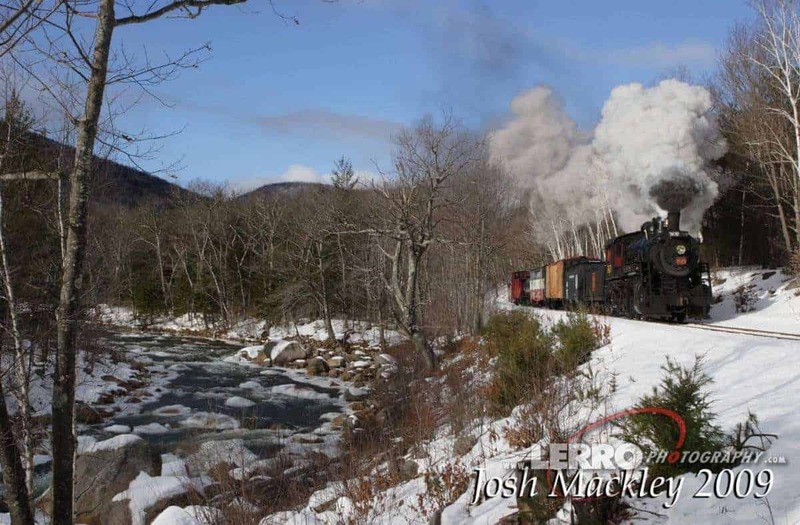 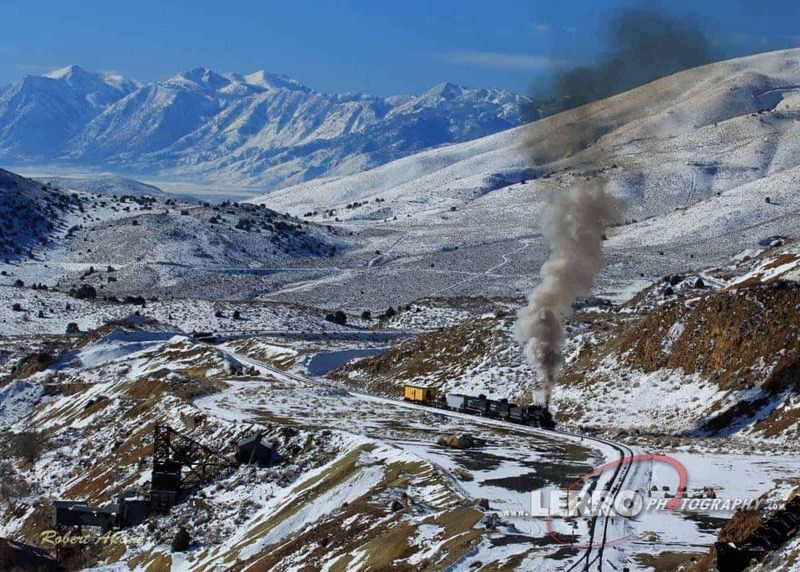 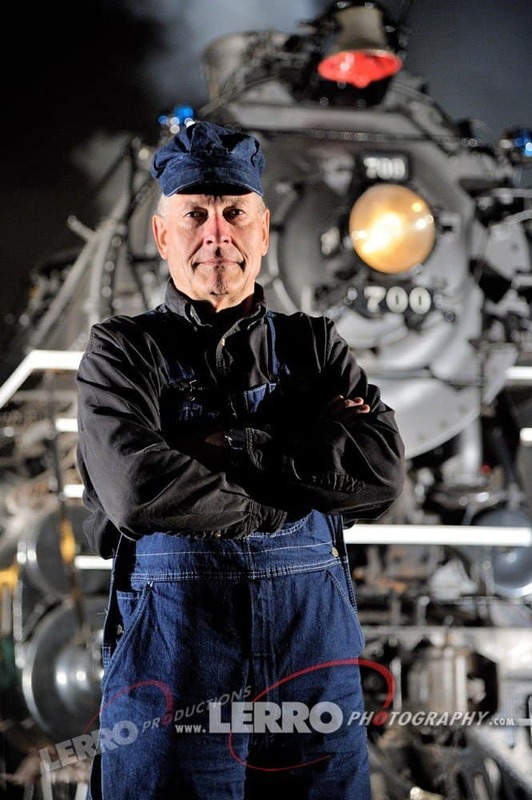 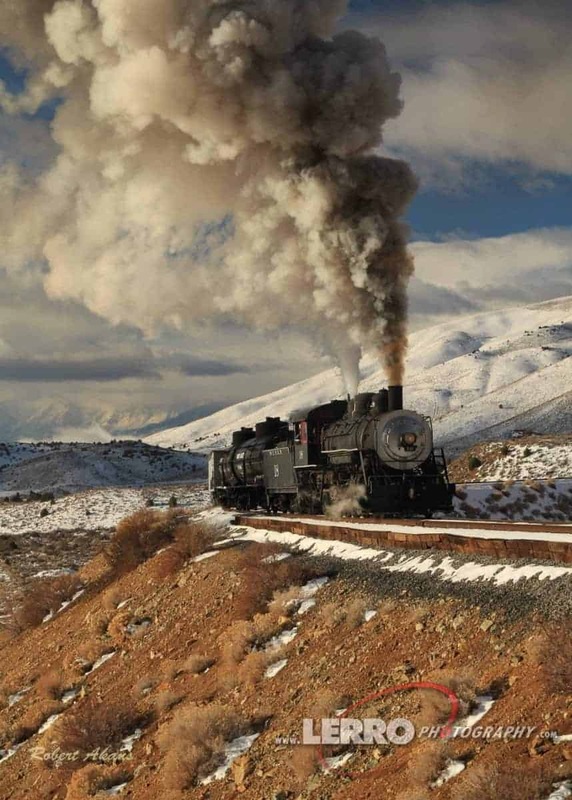 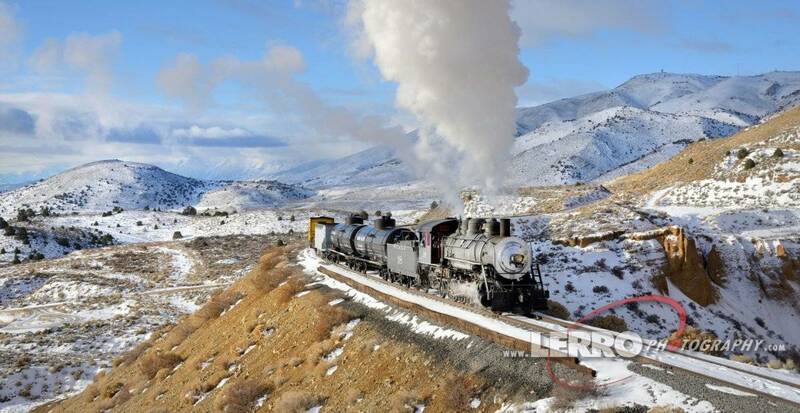 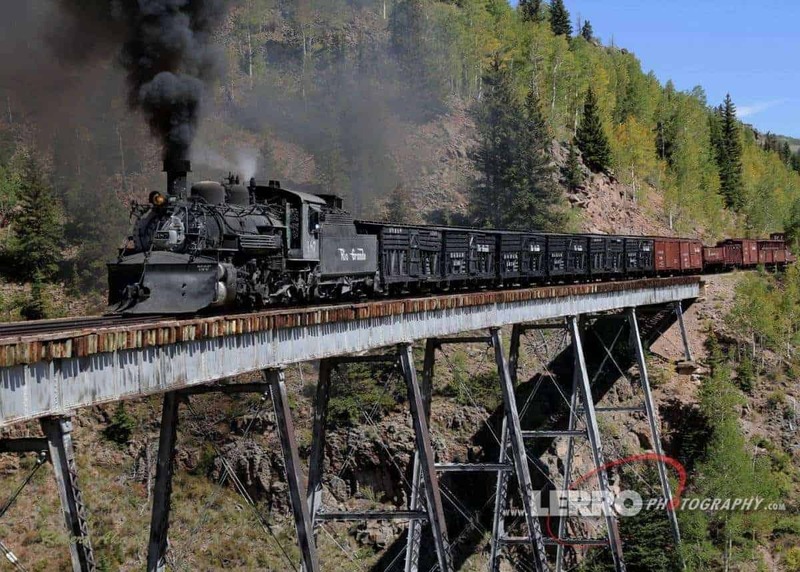 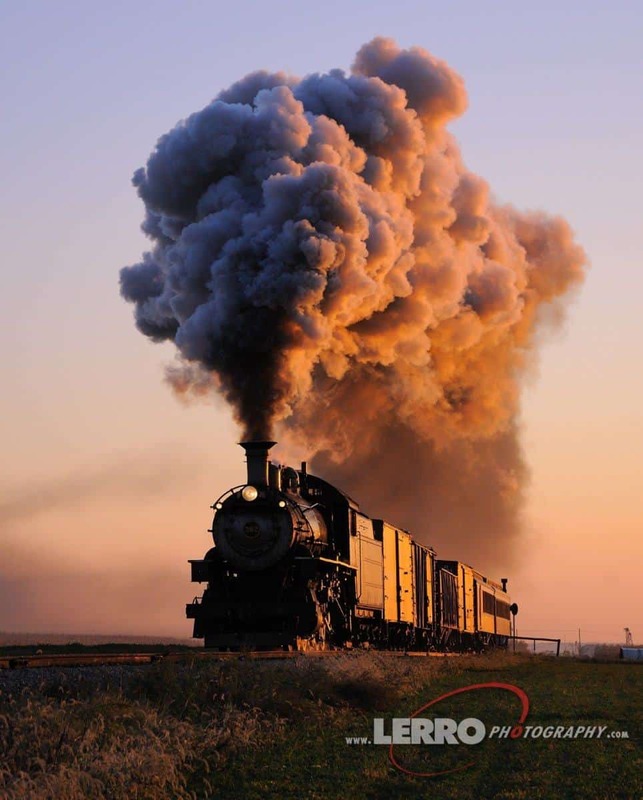 Similar to a Hollywood production, we create entire scenes, complete with historic buildings, vintage automobiles, antique props and period actors to replicate an everyday occurrence from the golden age of steam railroading. 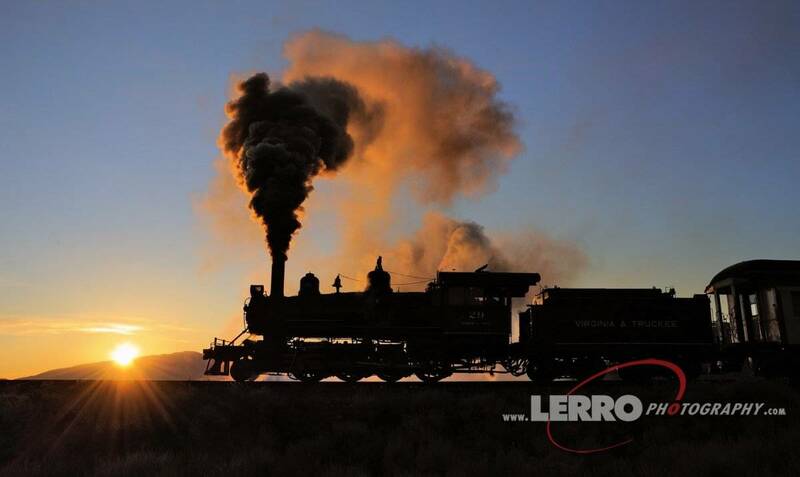 Our locations are carefully selected for optimum lighting and shooting conditions, and our sessions allow you to capture sunrises, sunsets, silhouettes, backlighting and nighttime shots. 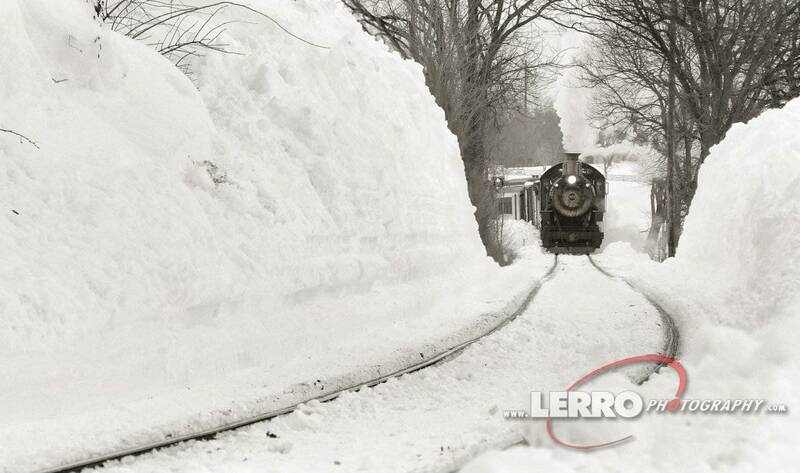 Even snow and rain can serve to create dramatic scenes for our shoots. 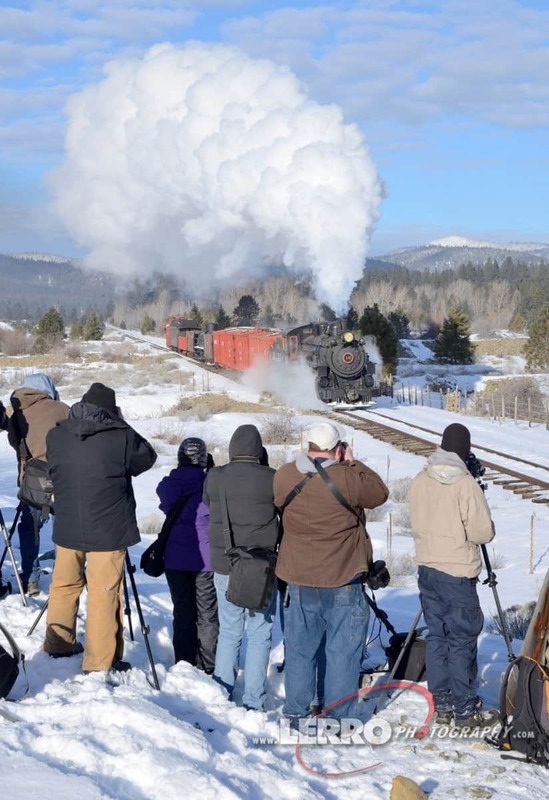 Depending on the charter, a photo line can range from 20 to 50 participants. 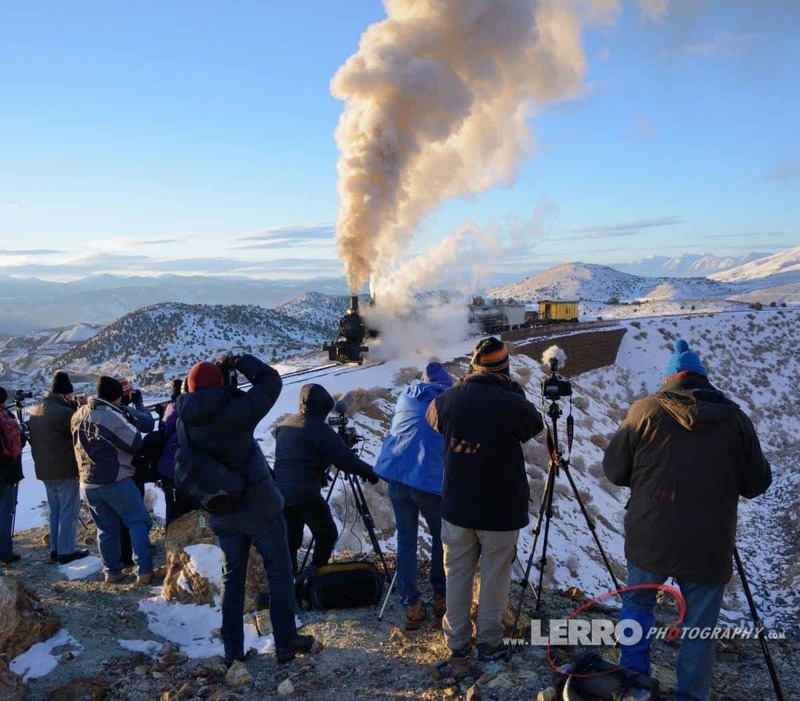 Between the runbys, you’ll have the opportunity to talk to other photographers and videographers, and meet new friends who share your passion. 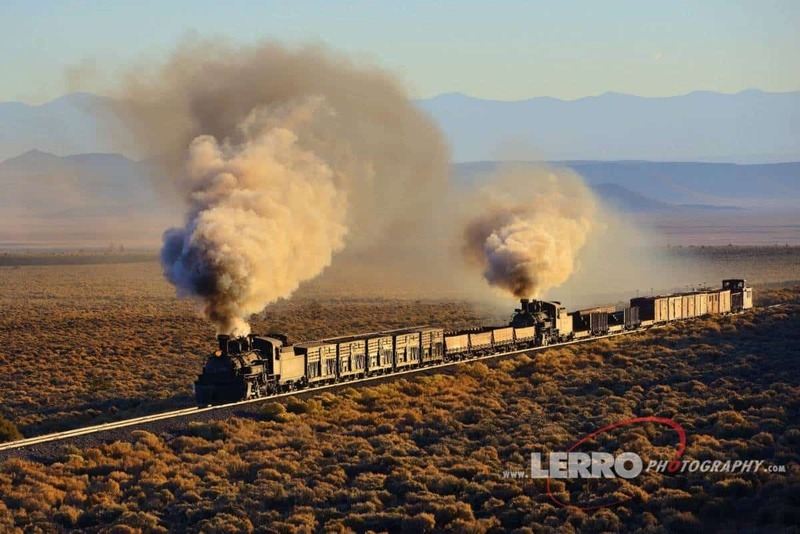 Our guests join us from all over the world, with some traveling from as far as Europe, Japan and South America to experience this unique, one-of-a-kind adventure. 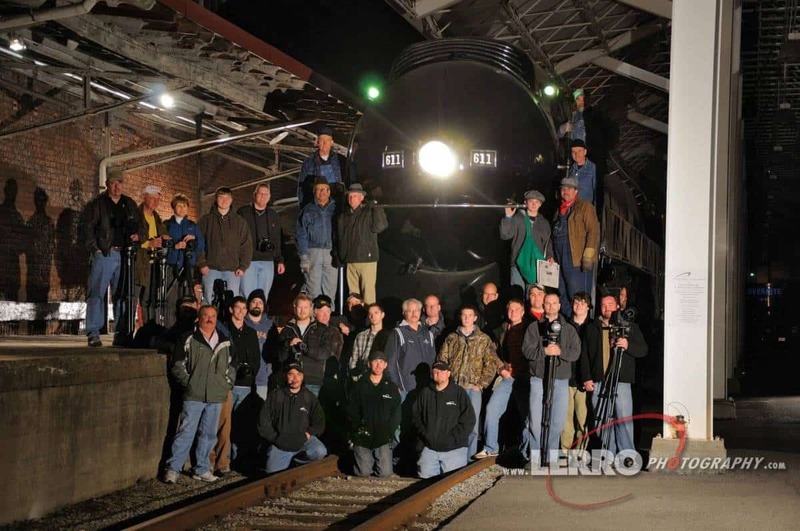 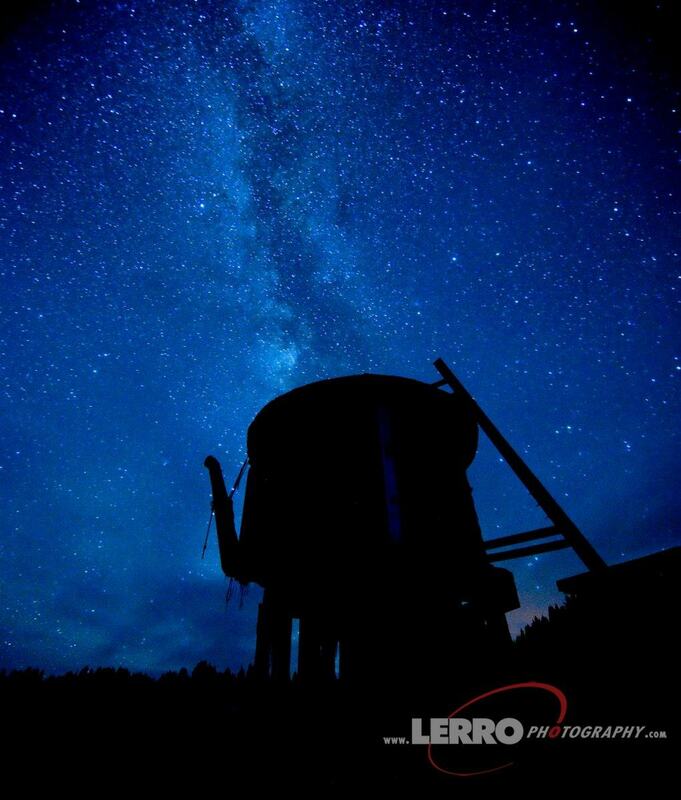 Our night sessions are a major part of our photo charters. 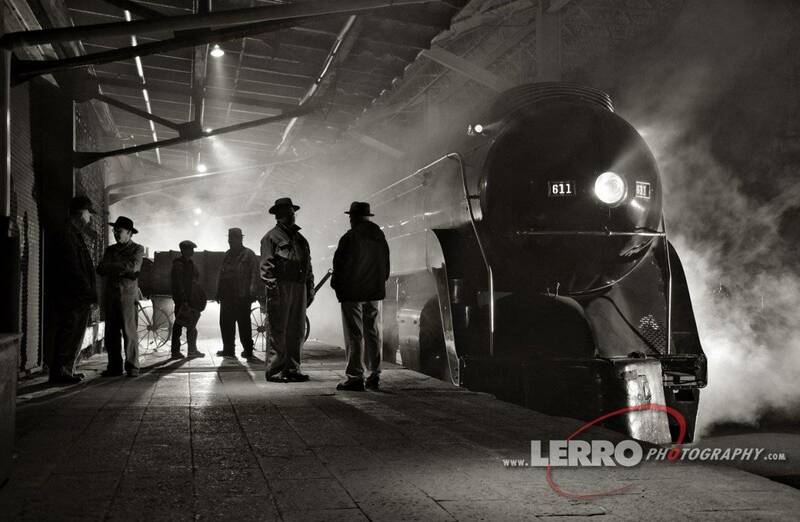 By using theatrical lighting techniques, we create dramatic scenes reminiscent of the film noir period of the 1940s. 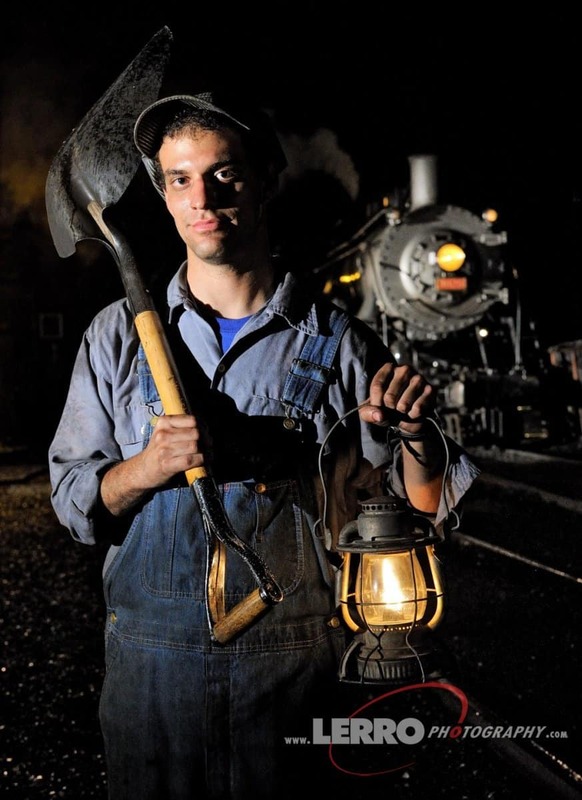 Just like our day sessions, actors and props are used to further enhance our lifelike scenes. 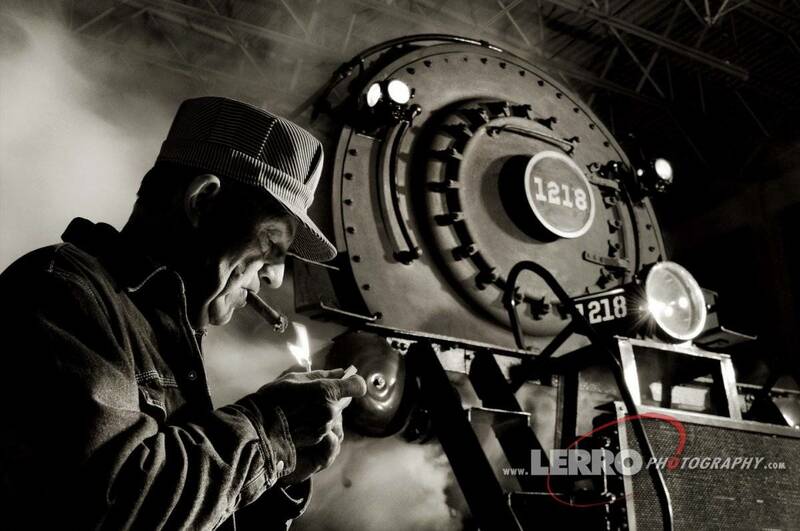 Still life and portrait opportunities are also included to provide a glimpse into the human interest aspect of railroading. 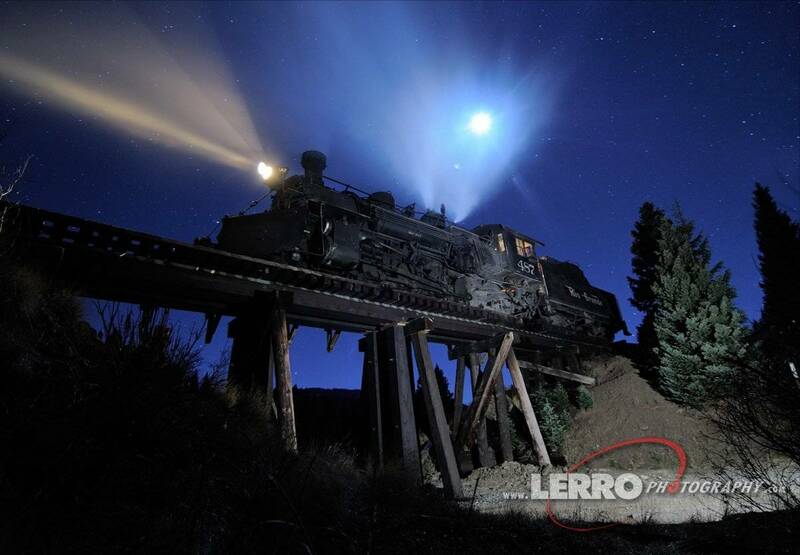 Along with our staged lighting, we set up scenes that use the natural light of the moon and stars for illumination, creating a completely different effect. 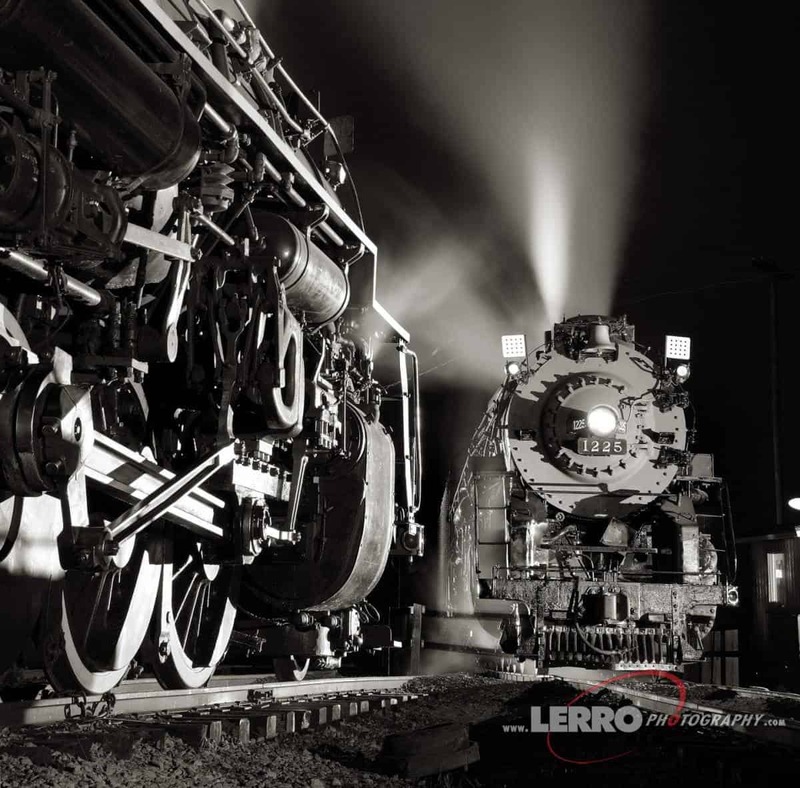 One of our specialties includes the museum photo shoots. 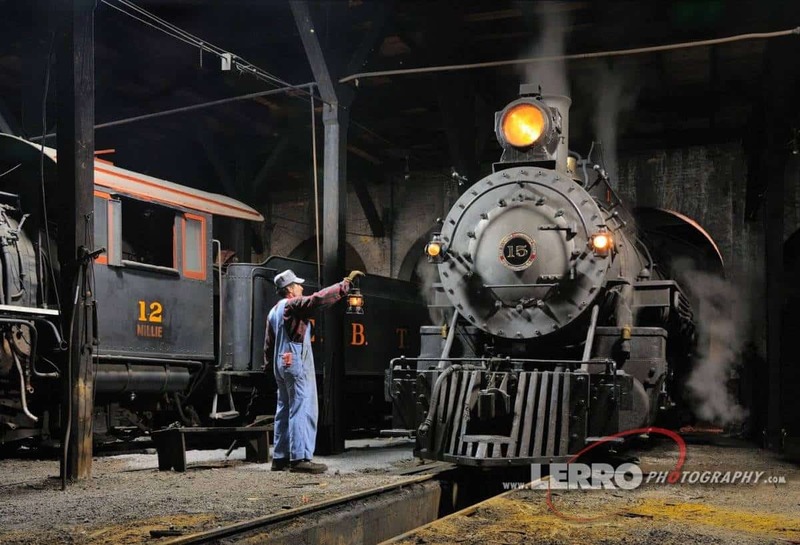 Combined with our lighting and pyrotechnics, we create the illusion that inoperable museum locomotives are actually under steam, an appearance that many of these trains haven’t experienced in more than 50 years. 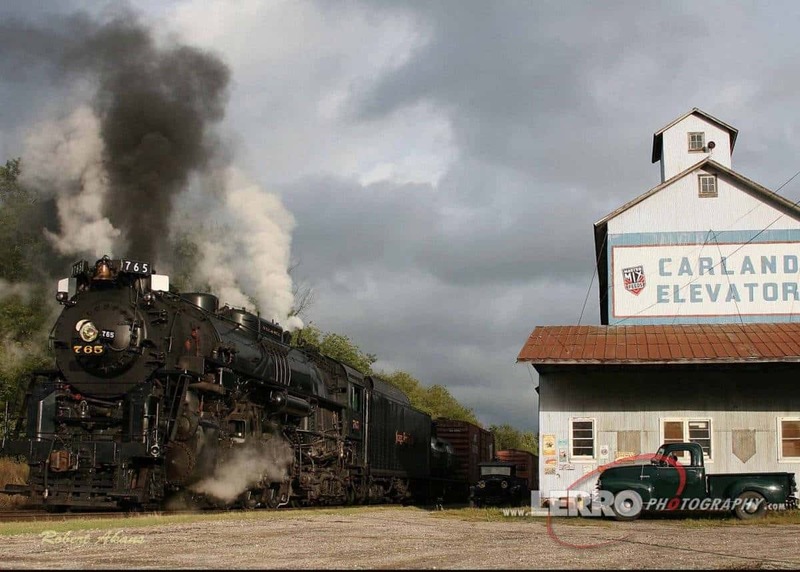 The effect is so lifelike, that many times, people who see the photos from our museum events would never know that the engines weren’t actually under steam. 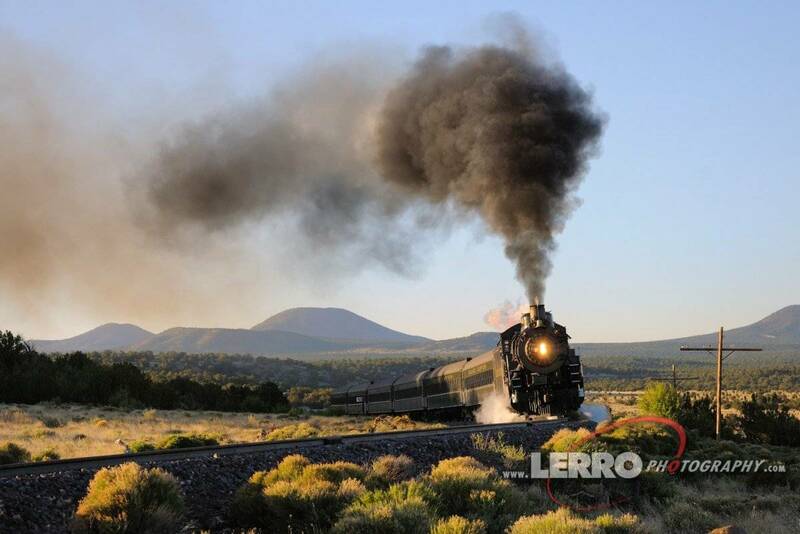 Pete’s photo trips are some of the highlights of my vacations, From steam trains in Durango, Chama and the Grand Canyon, to stone arches in Arches National Park to monoliths in Monument Valley to lighthouses along the coast to Colorado’s fall colors, Pete always has some surprises waiting for us. 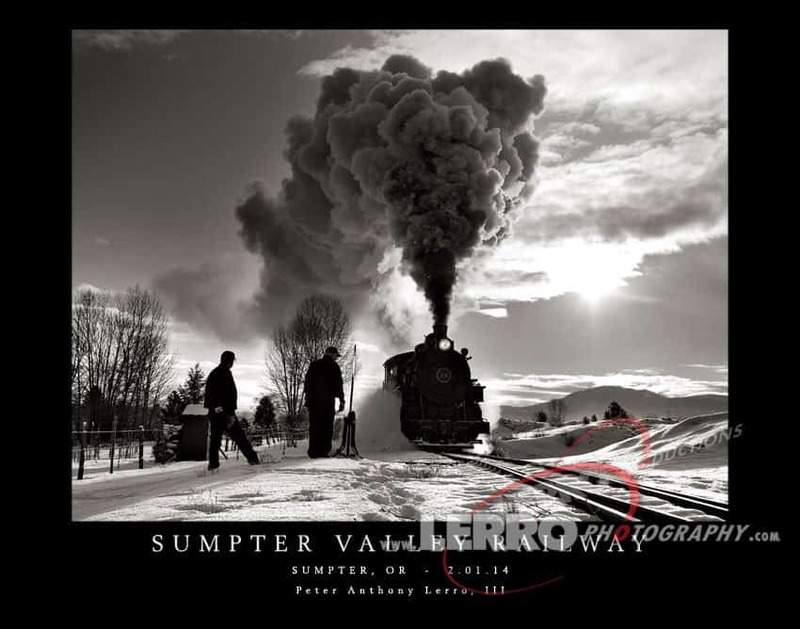 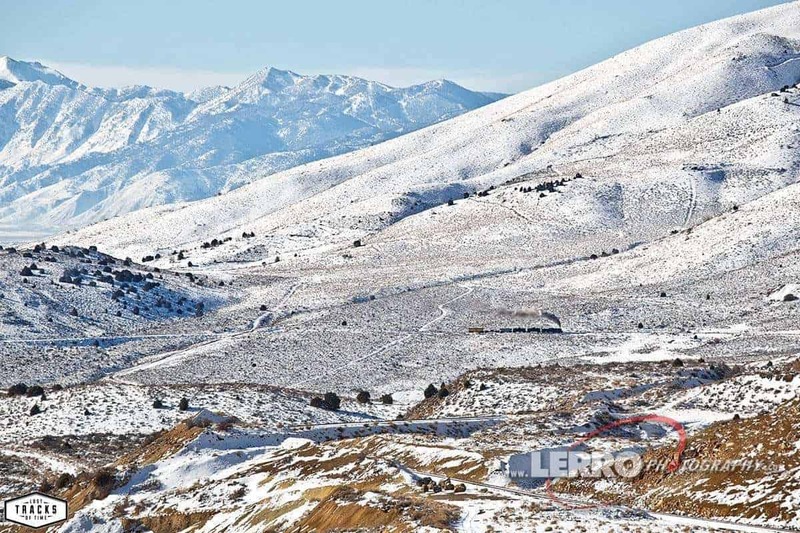 Pete’s knowledge, skills and gentle guidance in the field greatly improved my photography. 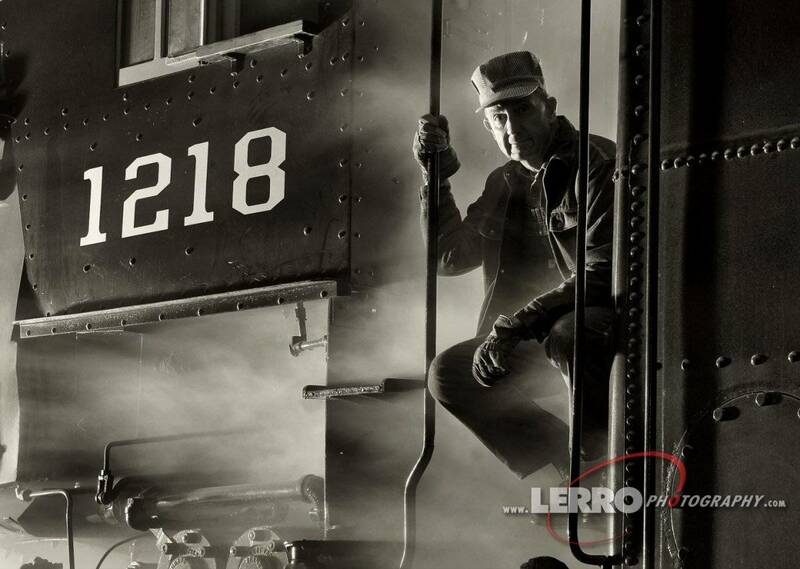 His use of locations, actors, and lighting help lend an authentic feel to the photos. 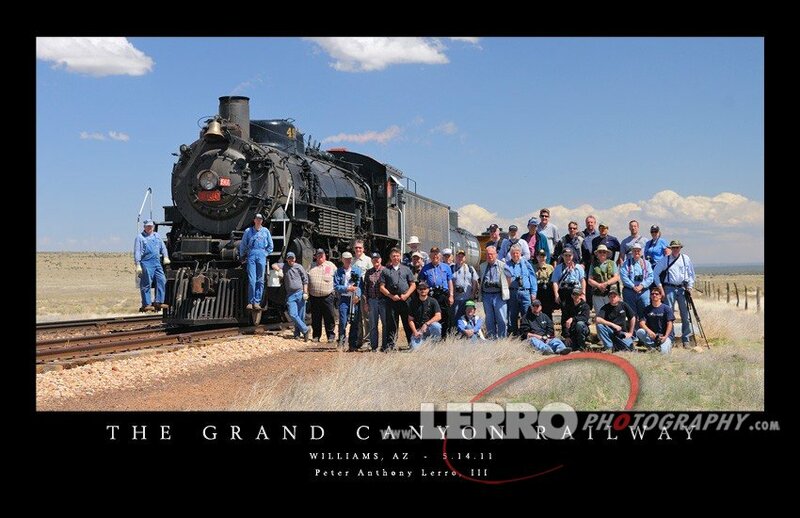 I’ll be attending more of Pete’s trips in the near future!